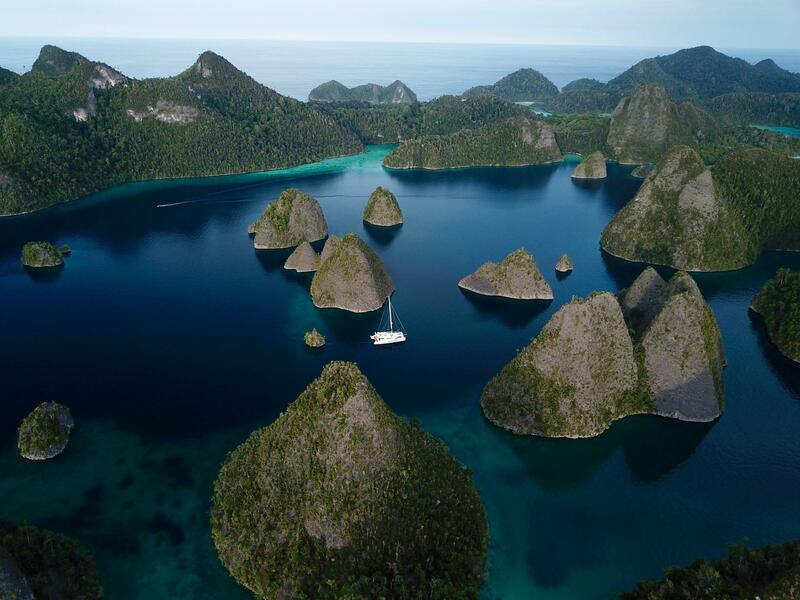 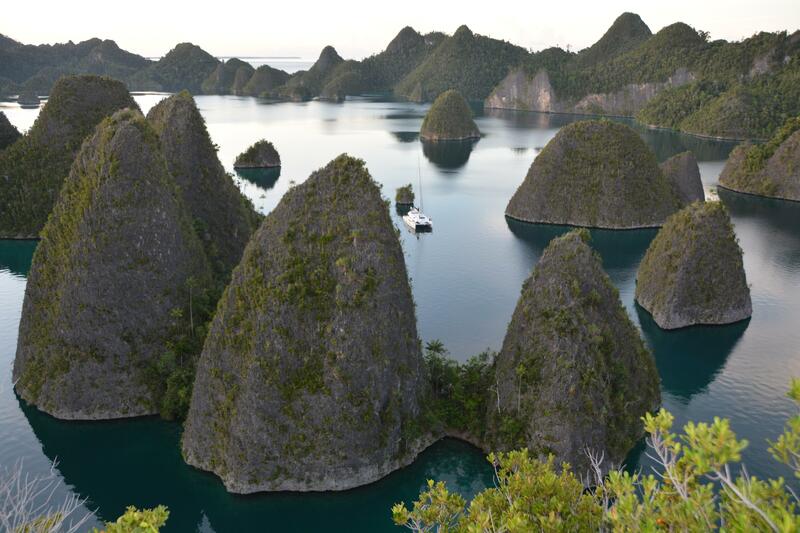 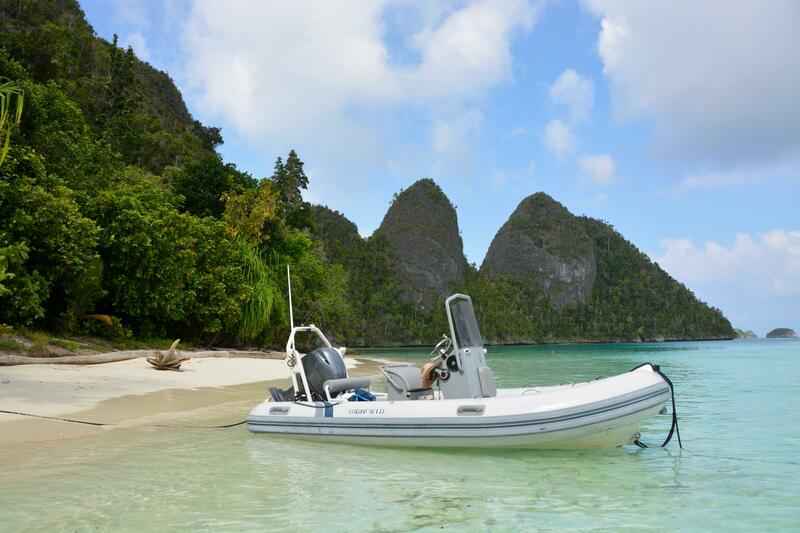 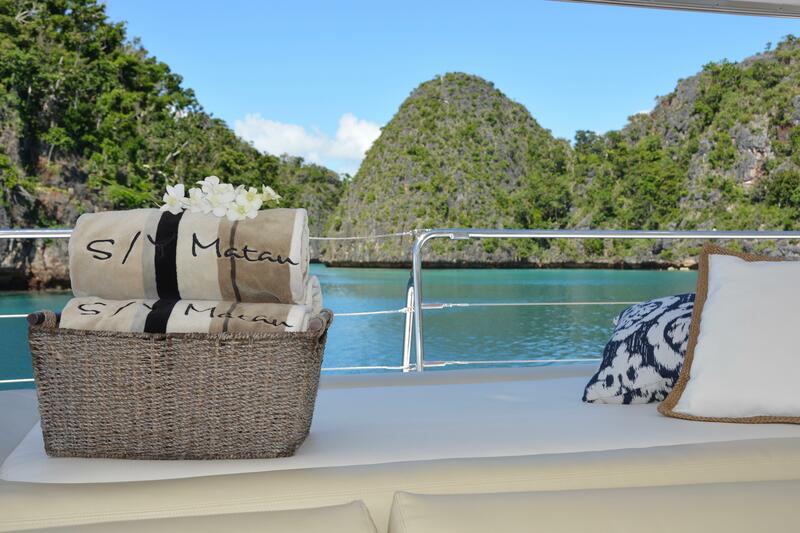 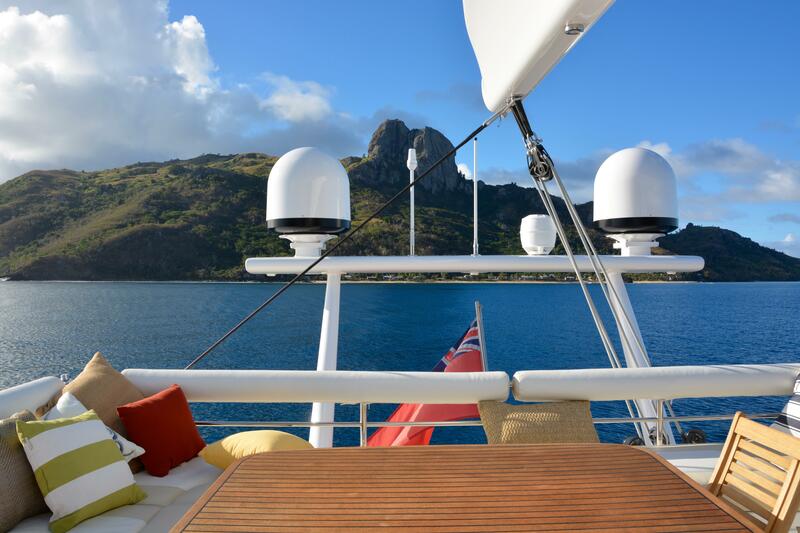 Matau is presently the finest and most well cared for Privilege 74 for sale in the world today. 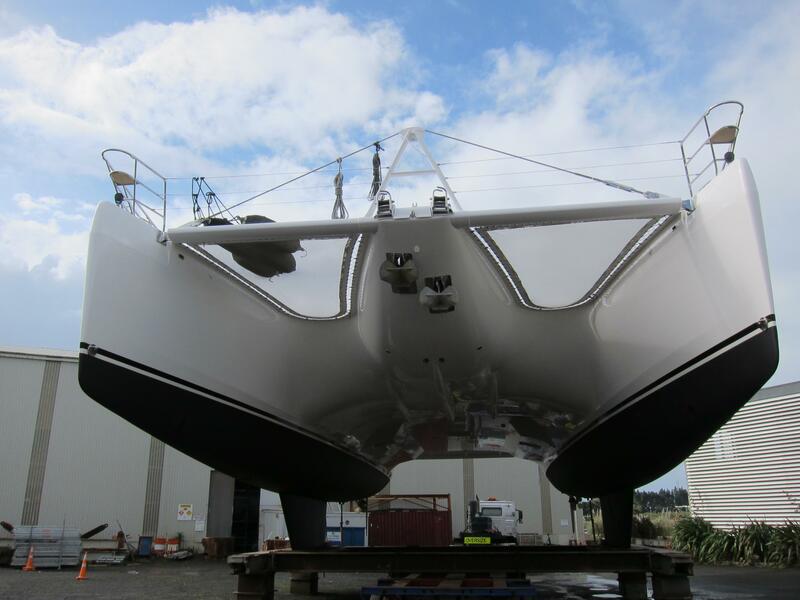 She was built at the esteemed Alliaura Marine shipyard in France to Bureau Veritas standards in a climate controlled factory. 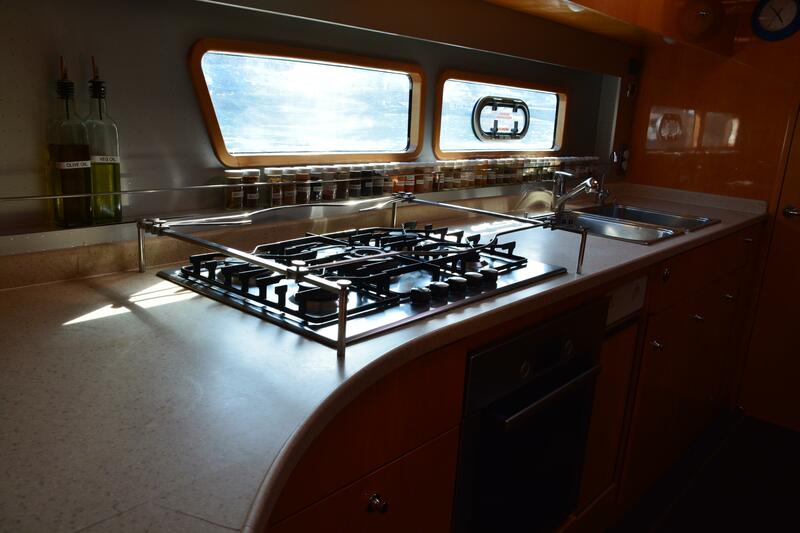 Only the finest components were used in her fabrication and all her furniture is hand made, cabinet grade down to the gloss finish. 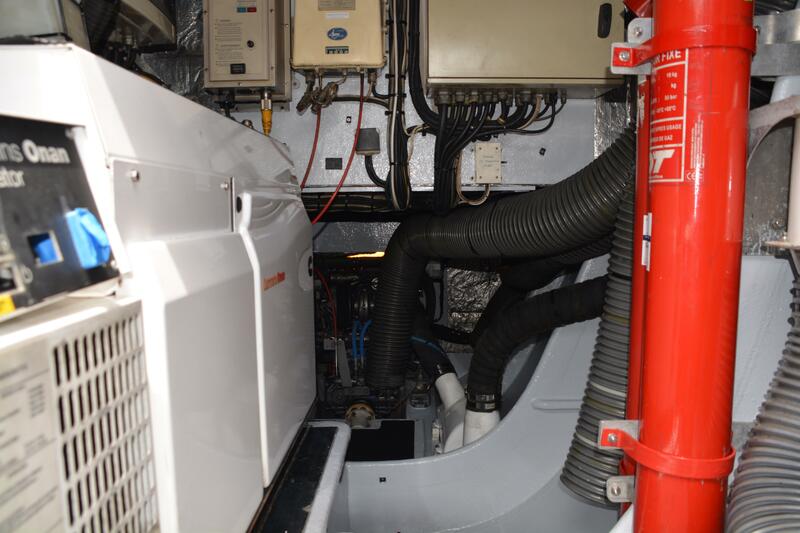 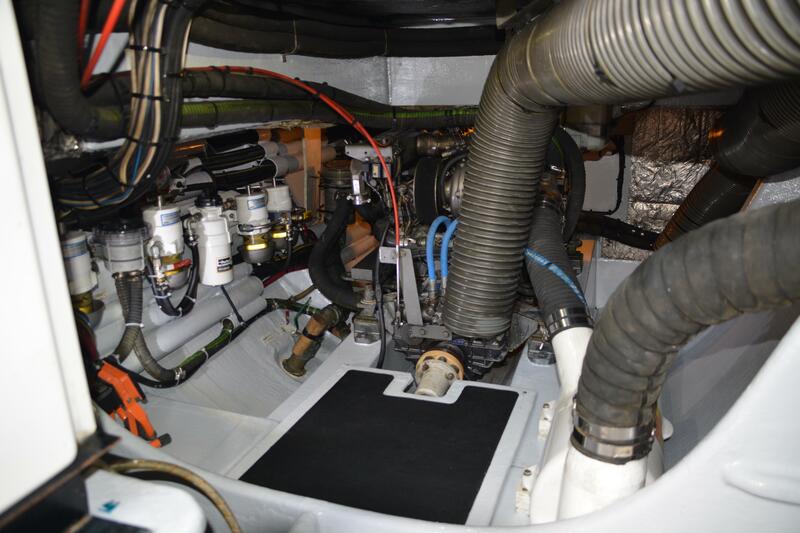 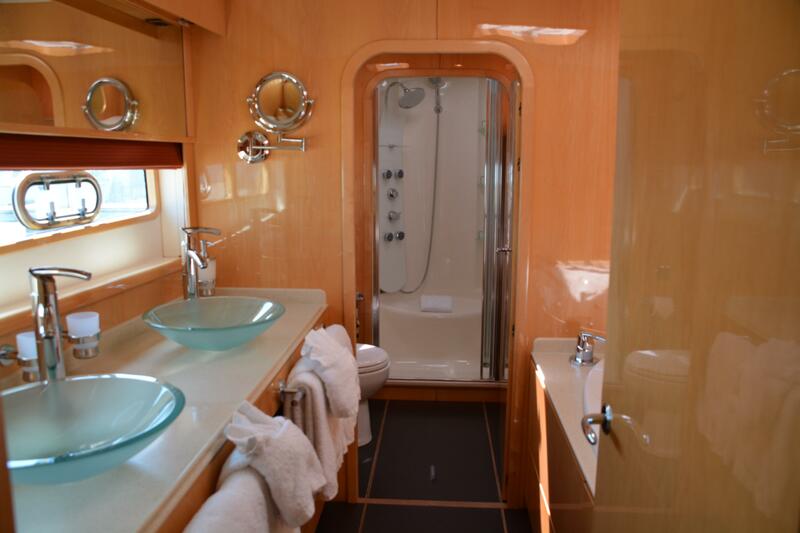 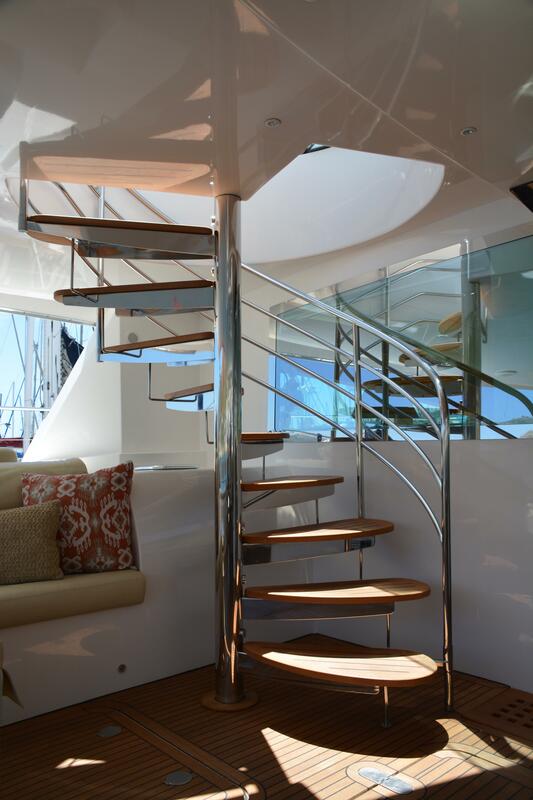 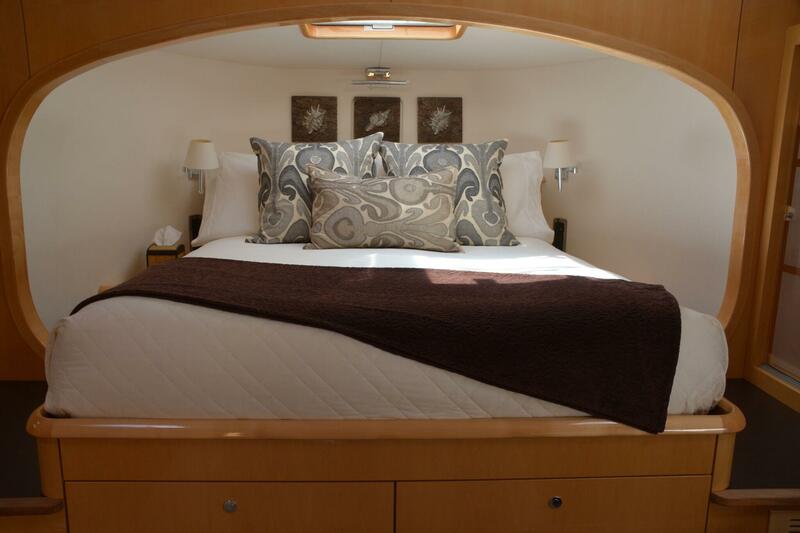 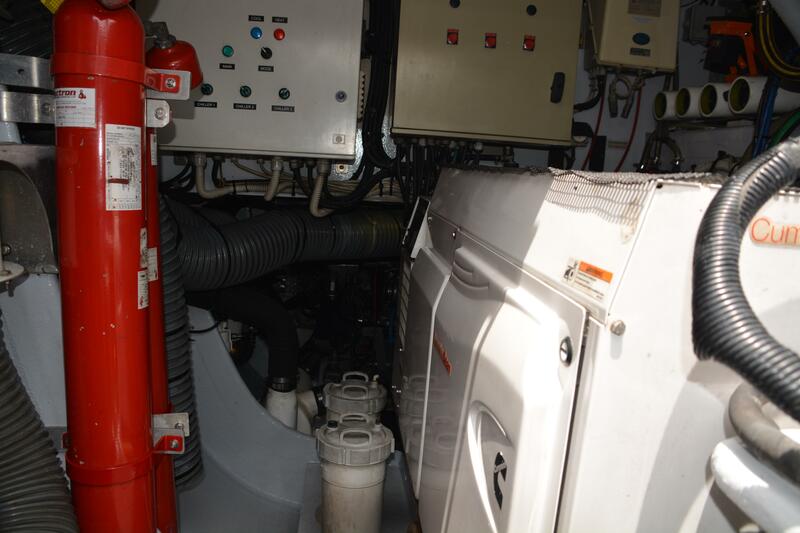 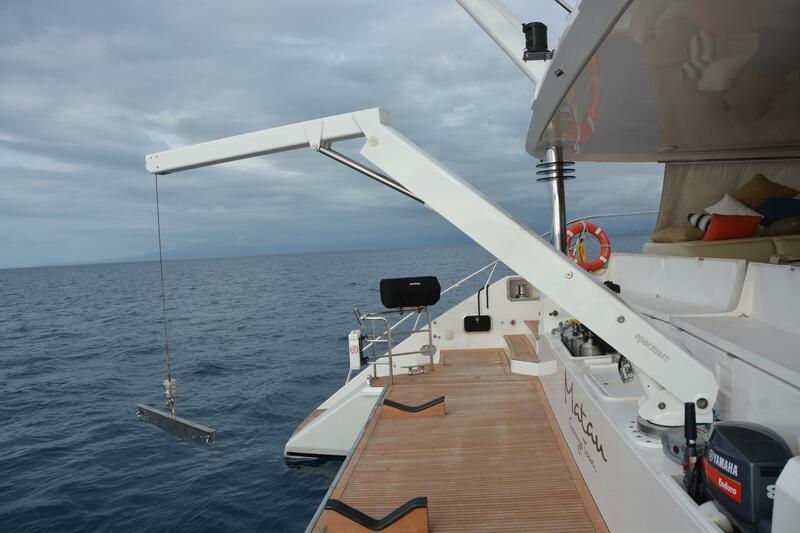 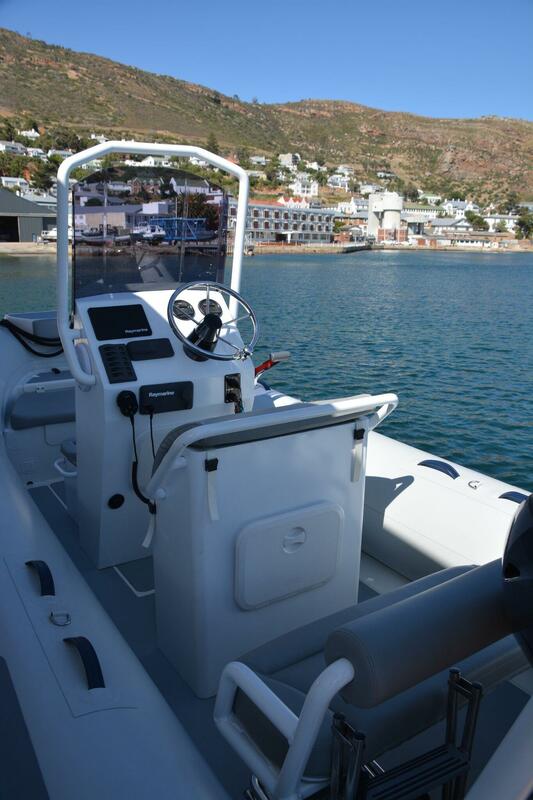 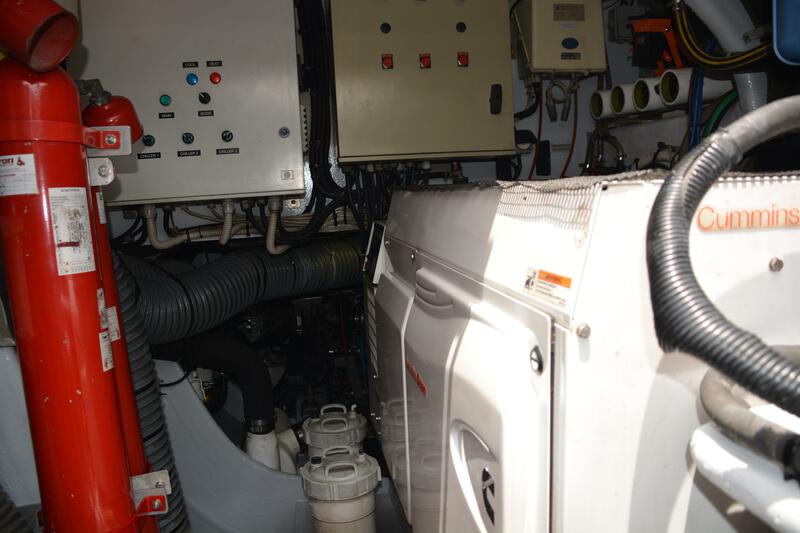 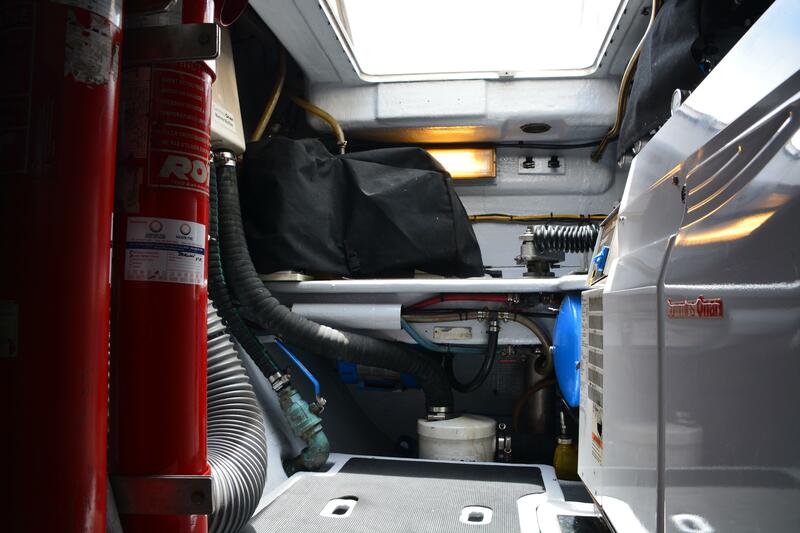 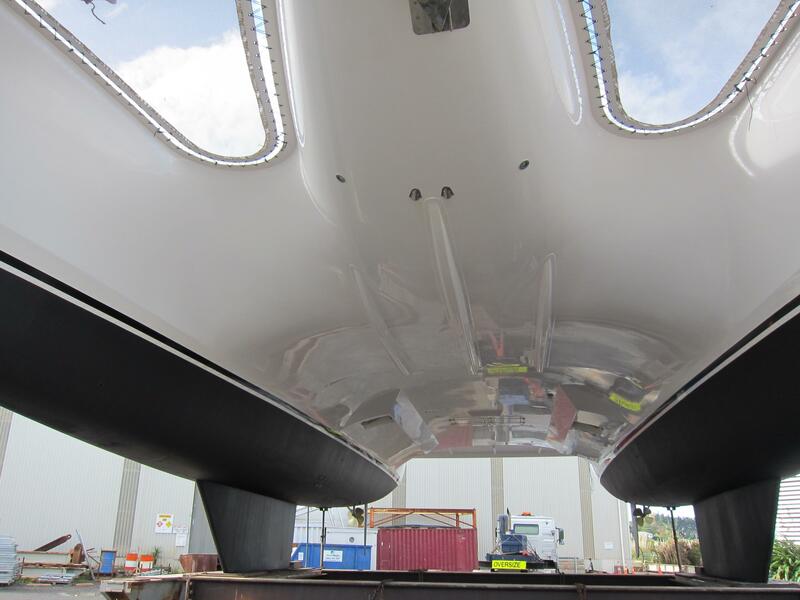 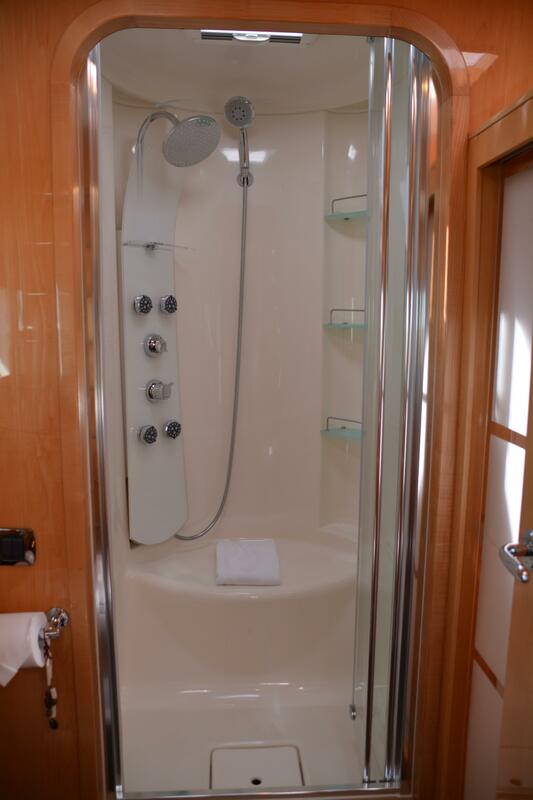 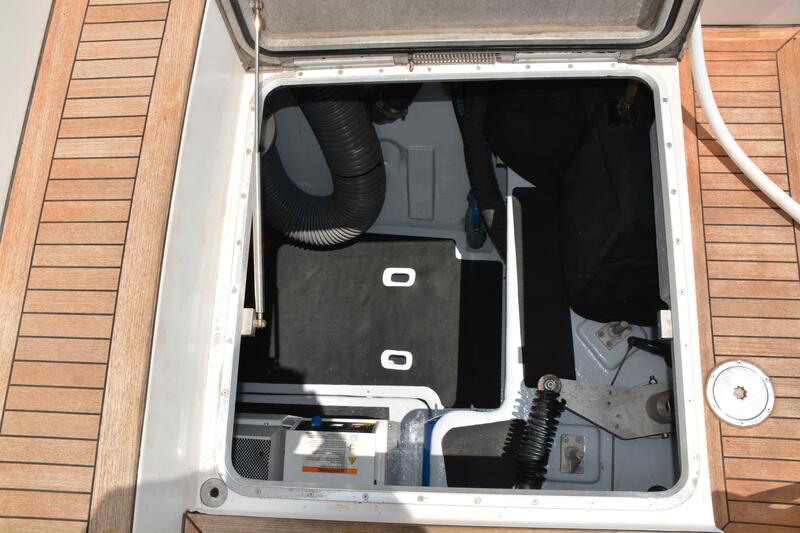 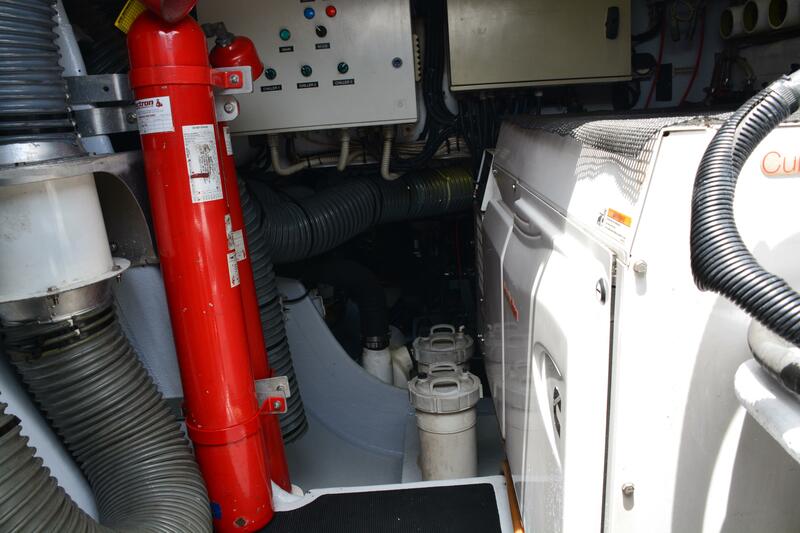 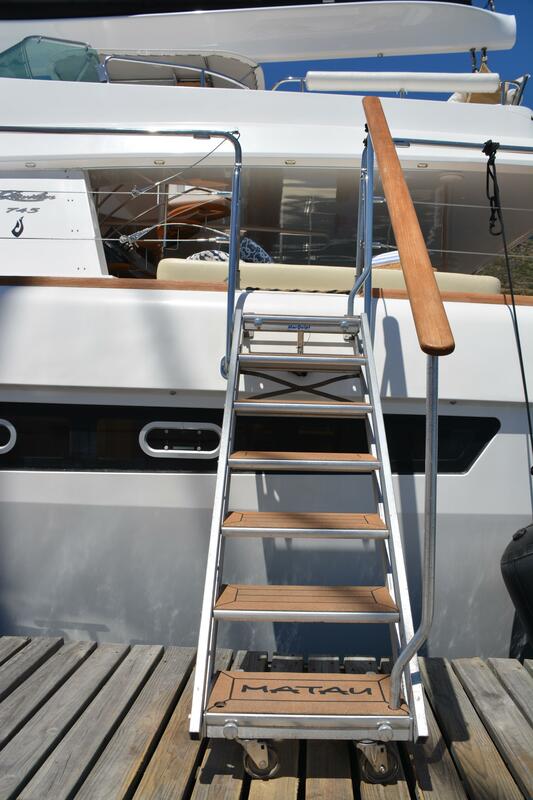 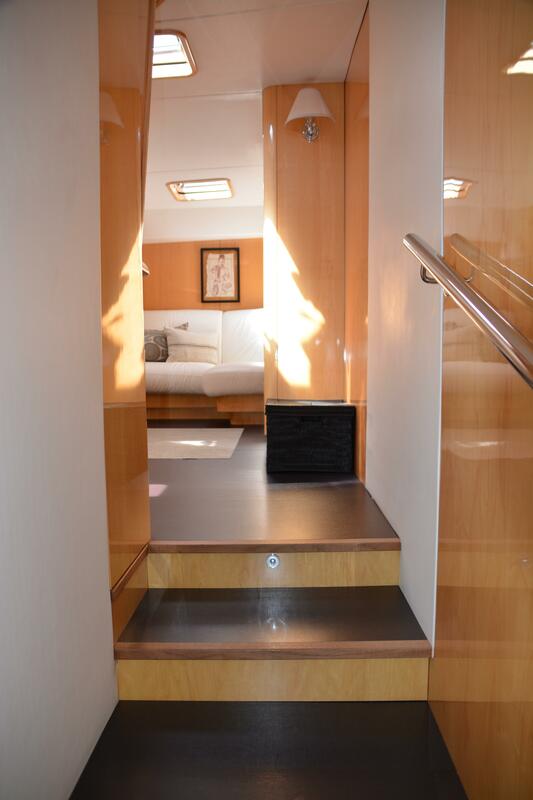 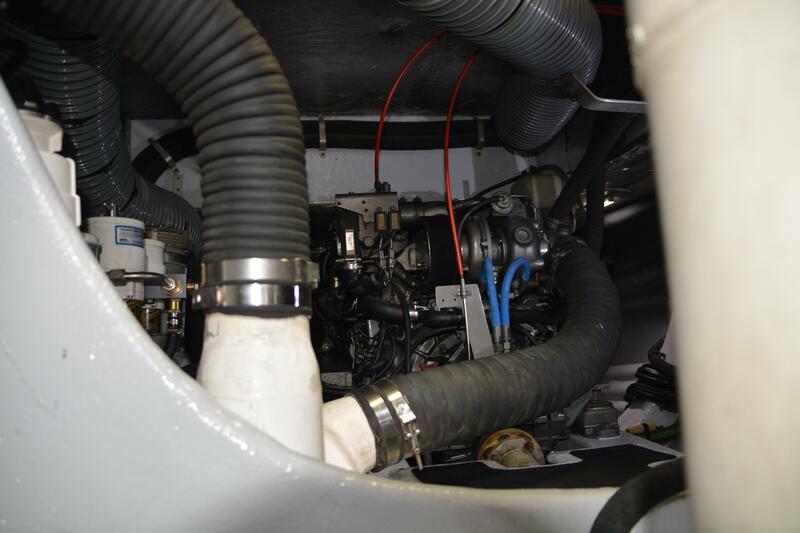 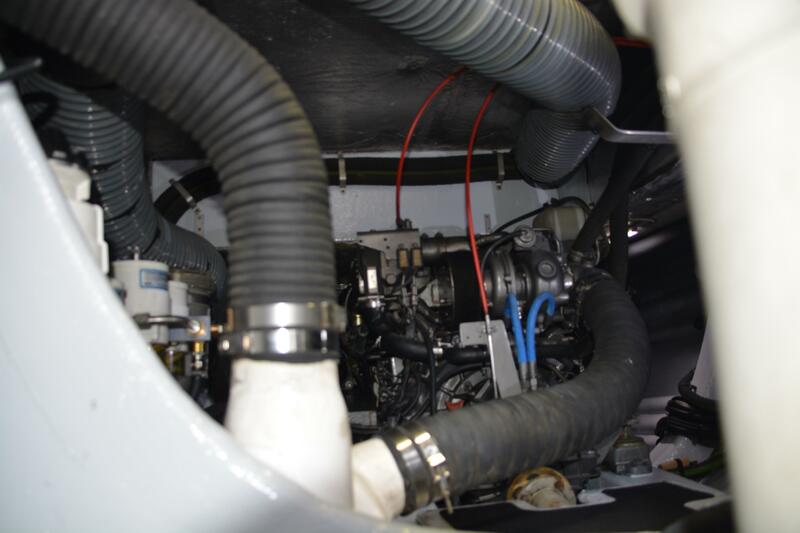 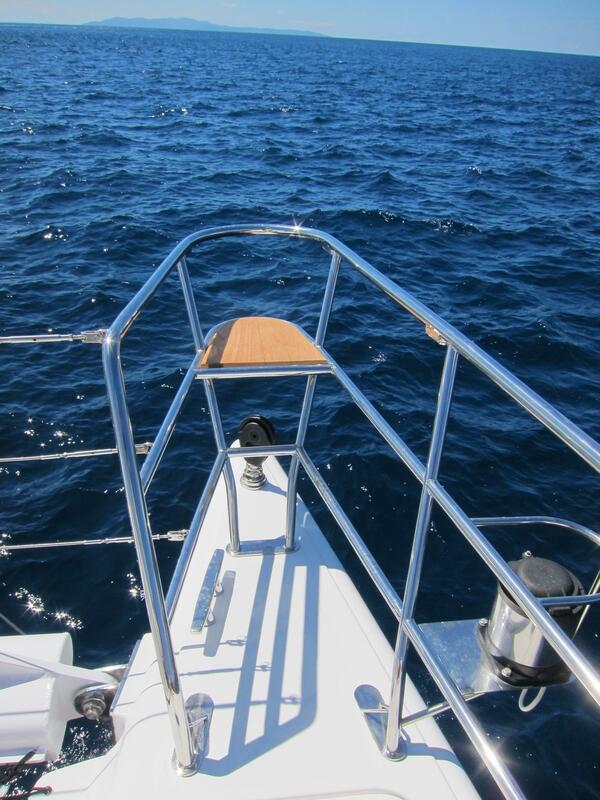 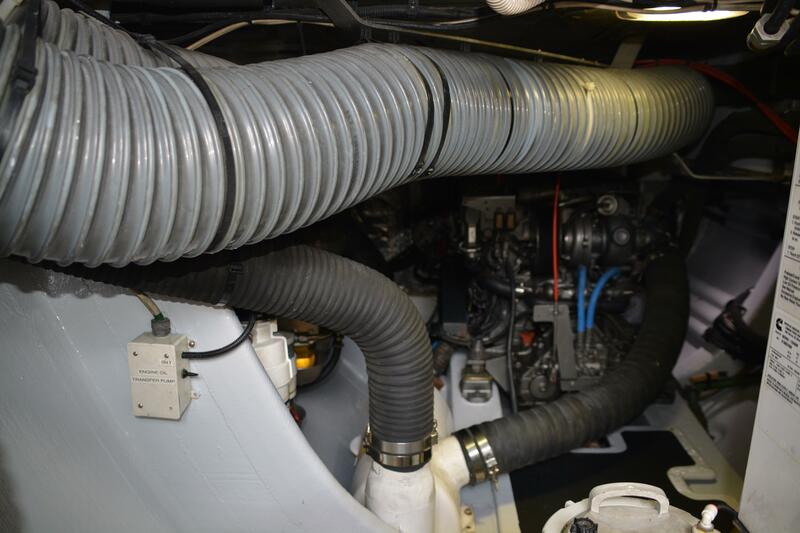 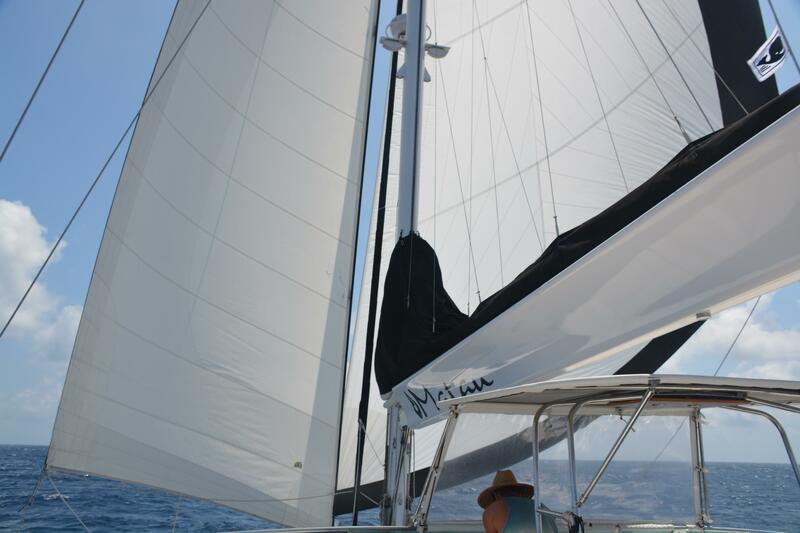 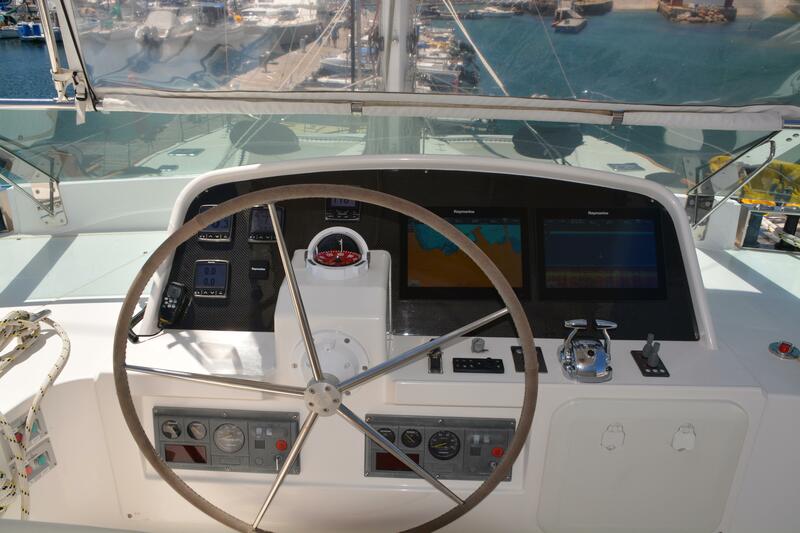 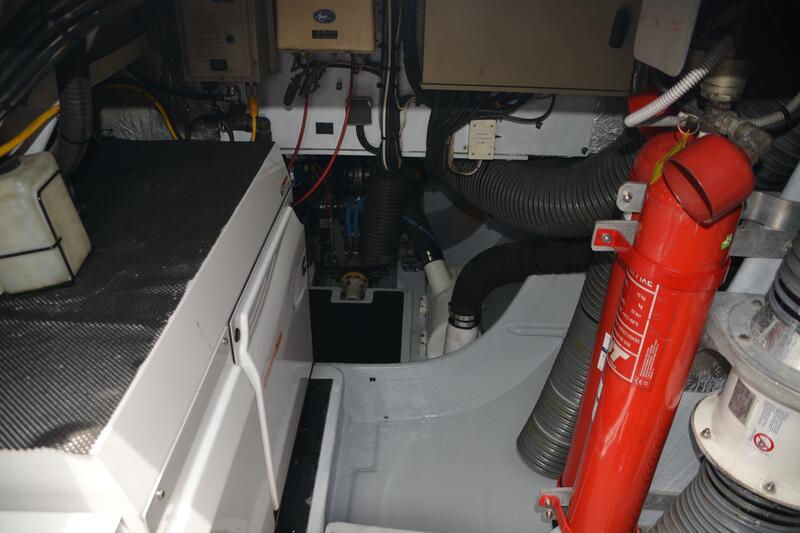 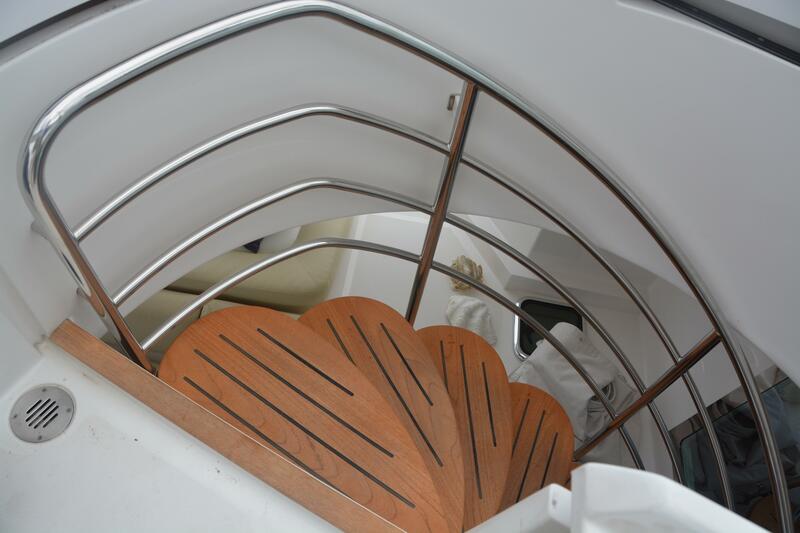 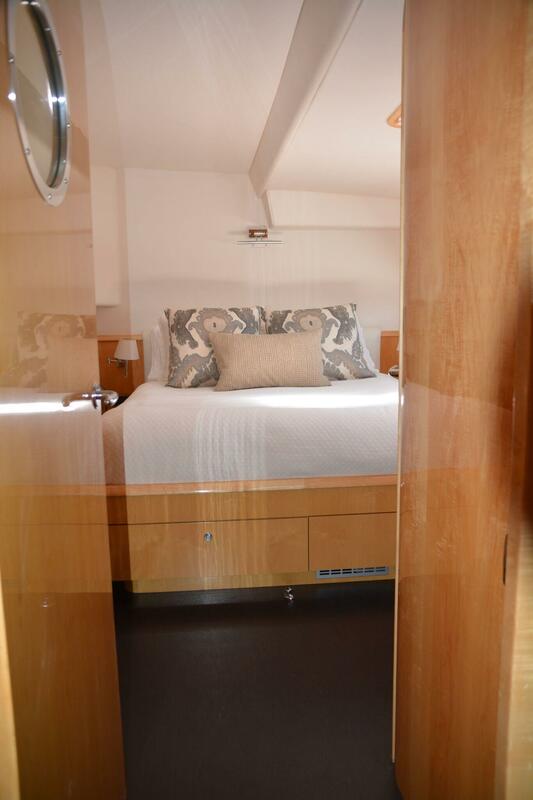 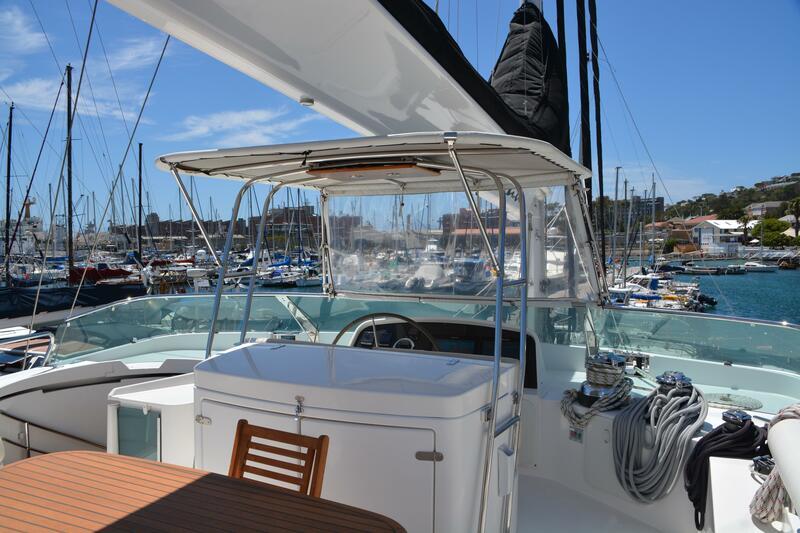 You simply cannot find a catamaran built today with finer joinery and interior finish. 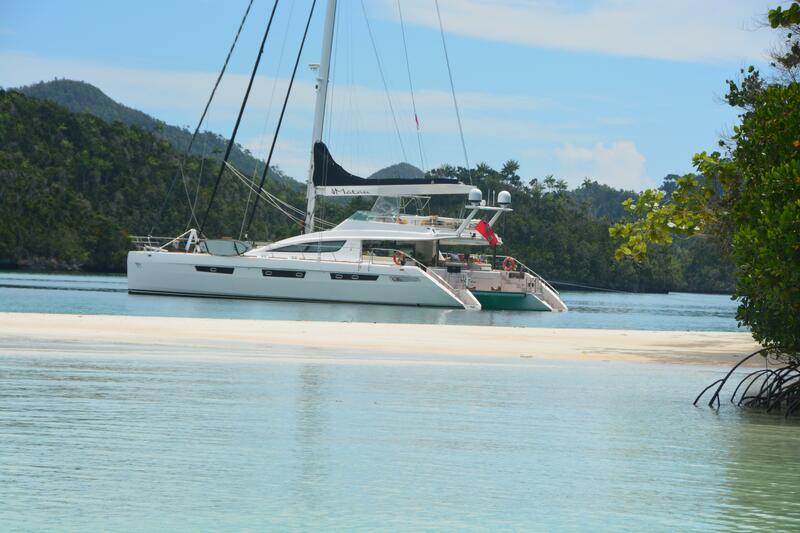 She is a true luxury fly-bridge catamaran. 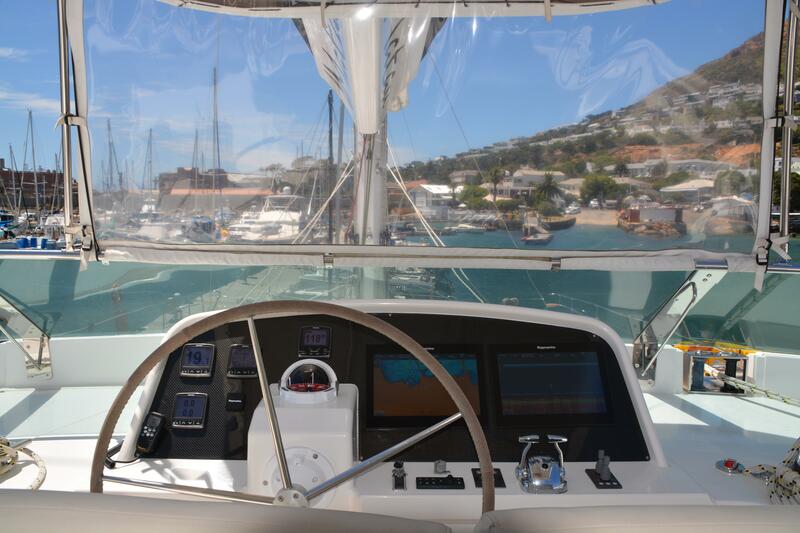 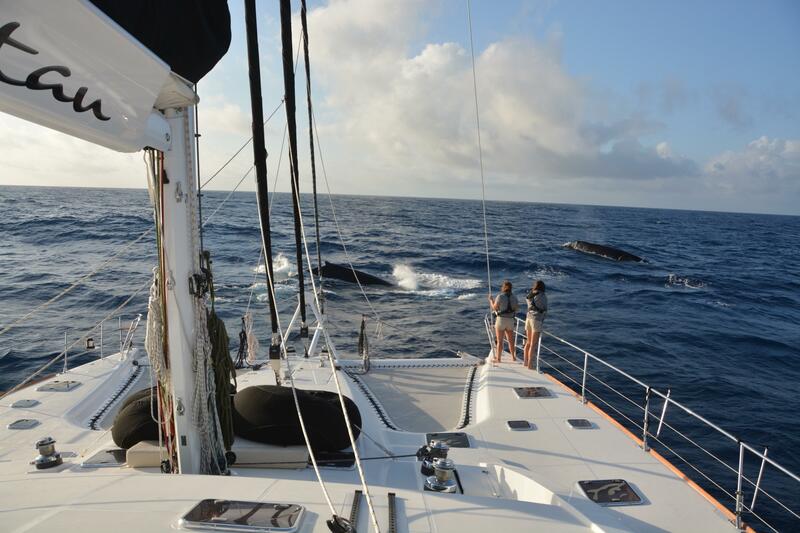 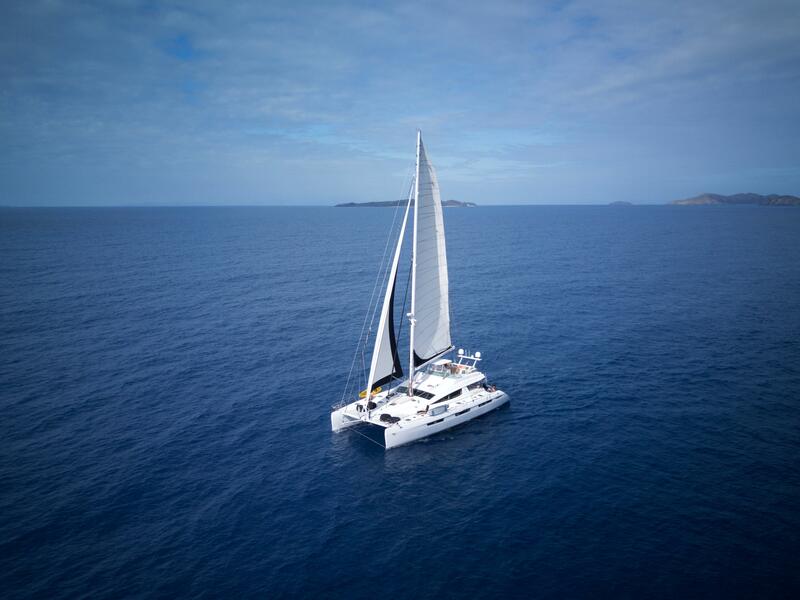 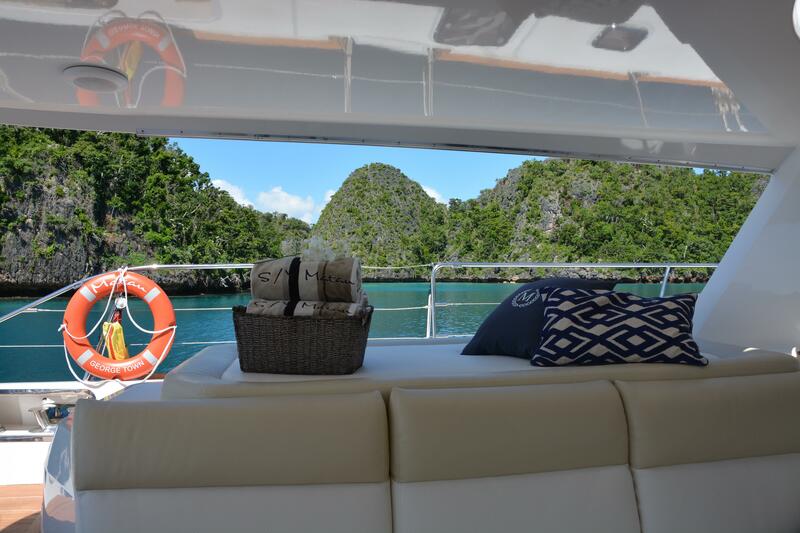 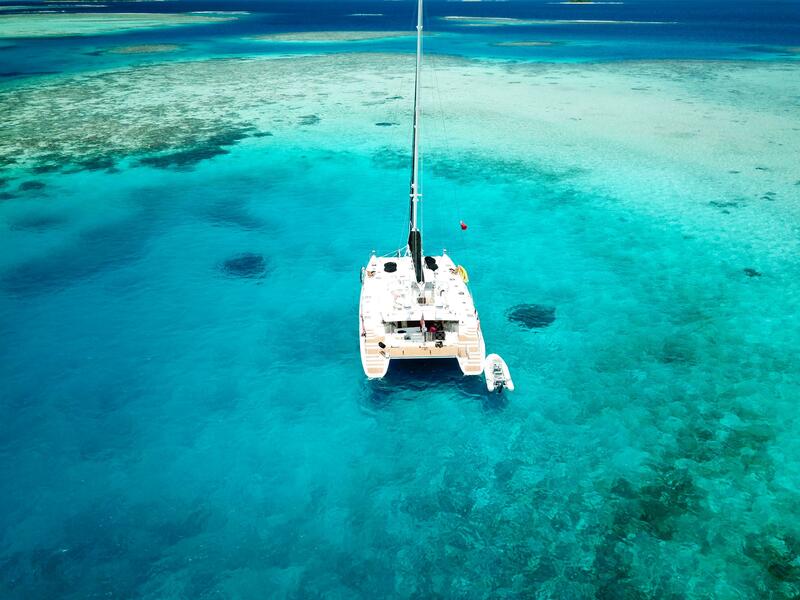 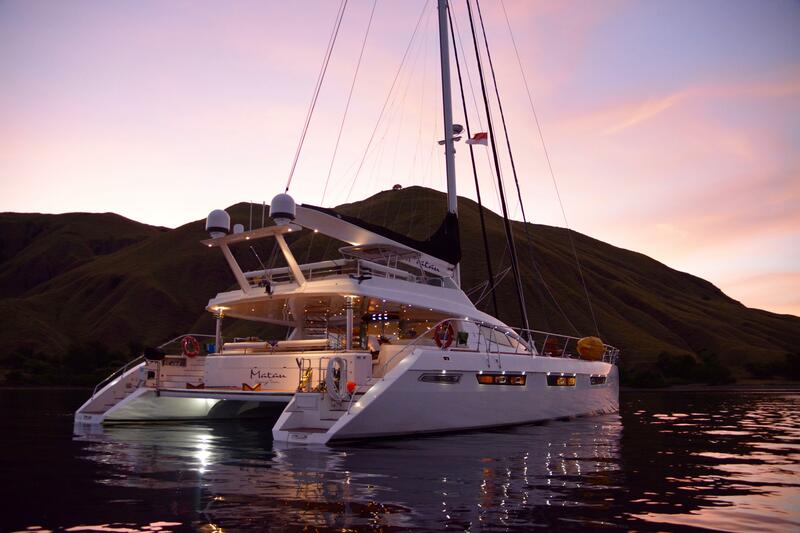 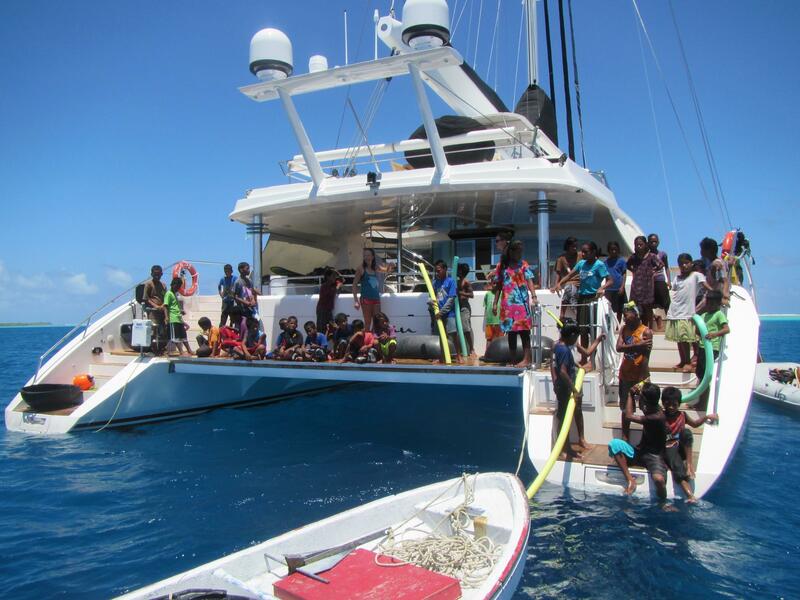 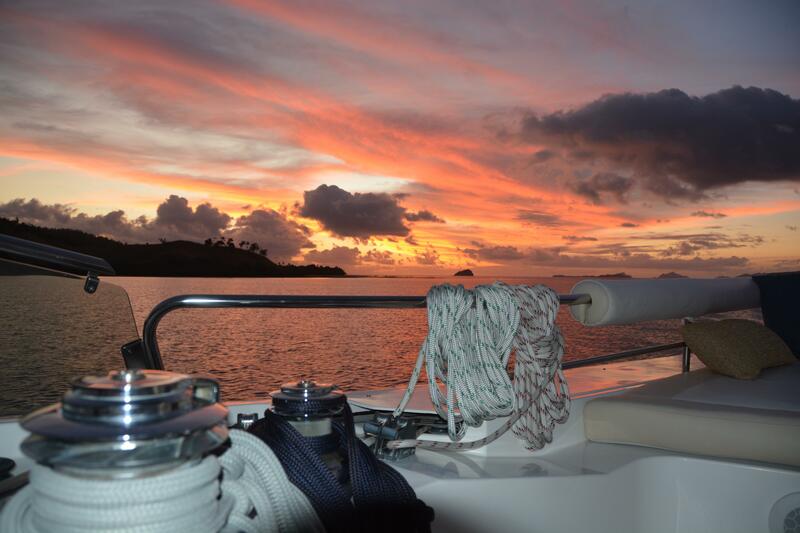 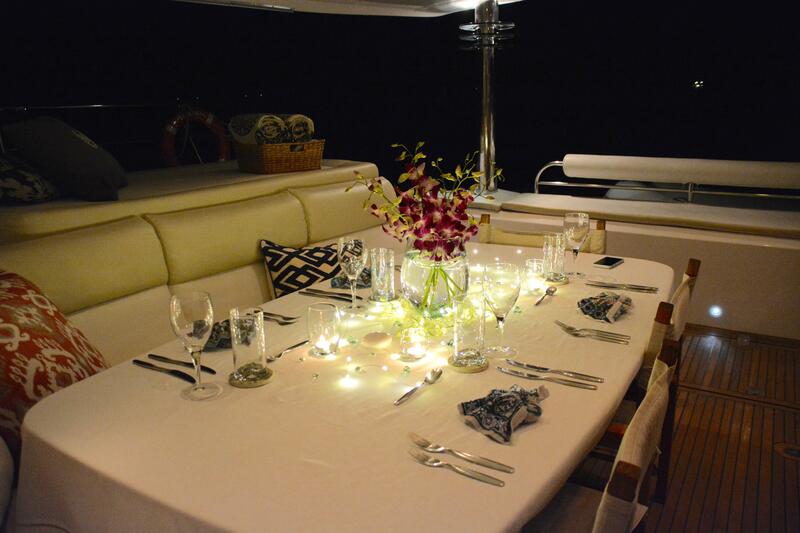 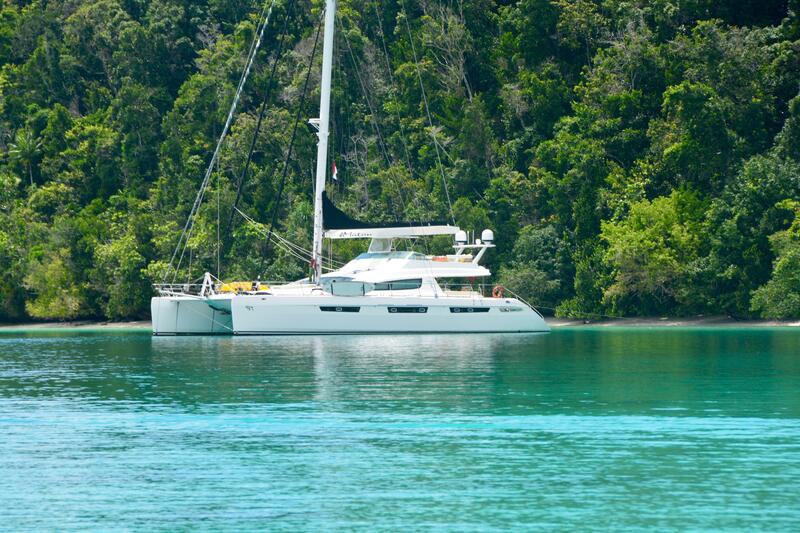 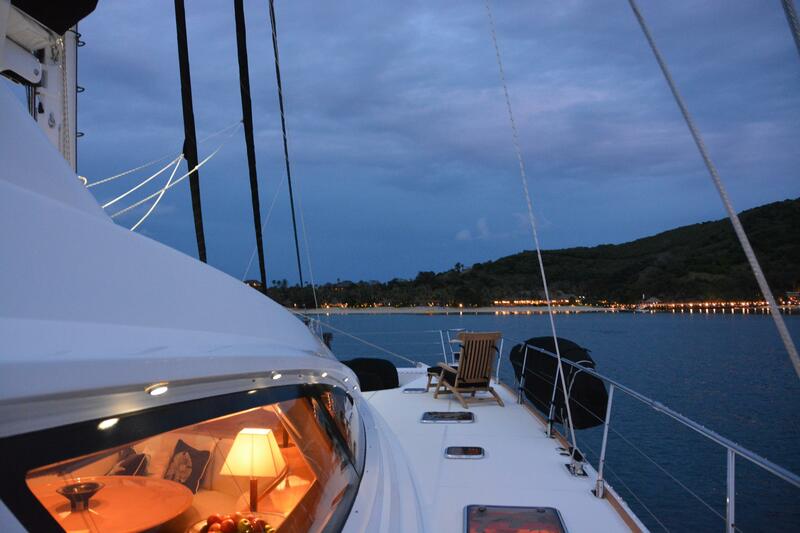 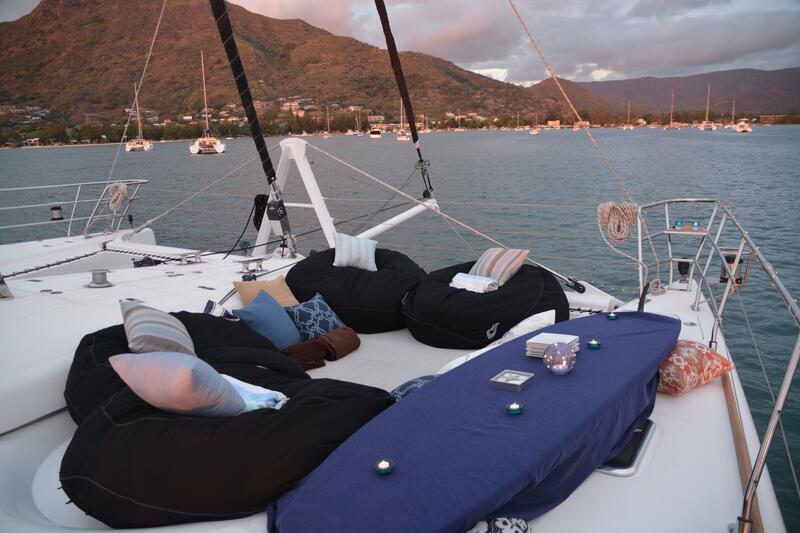 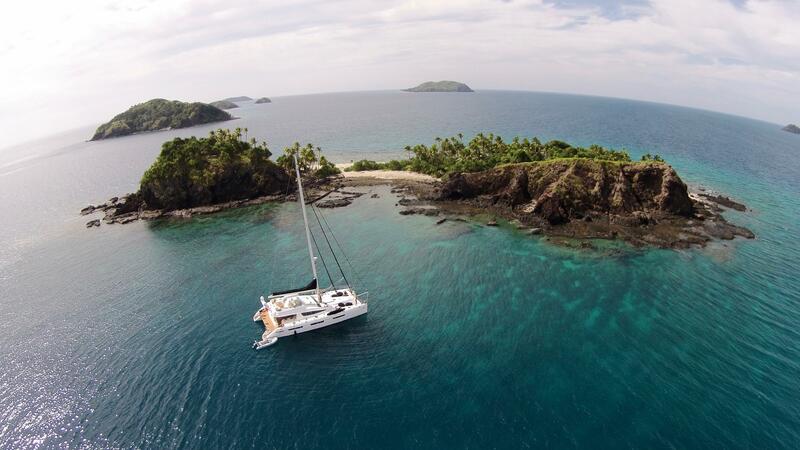 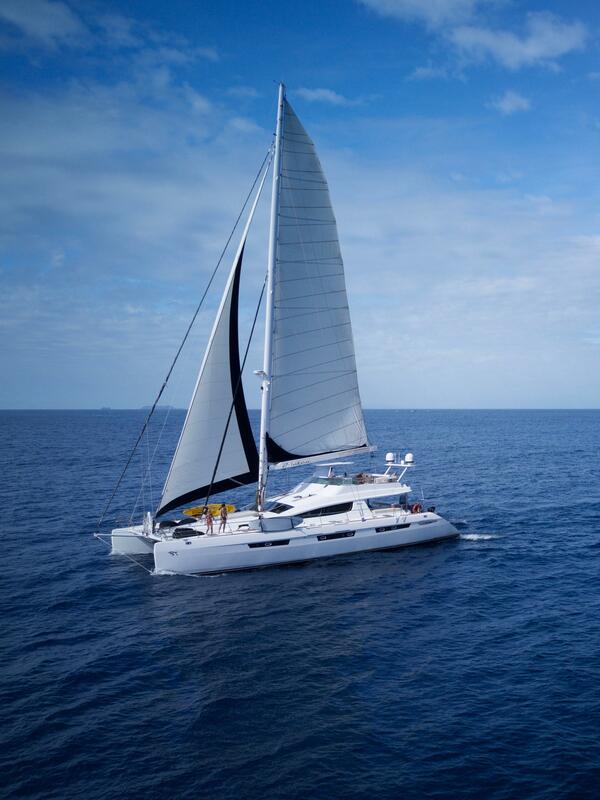 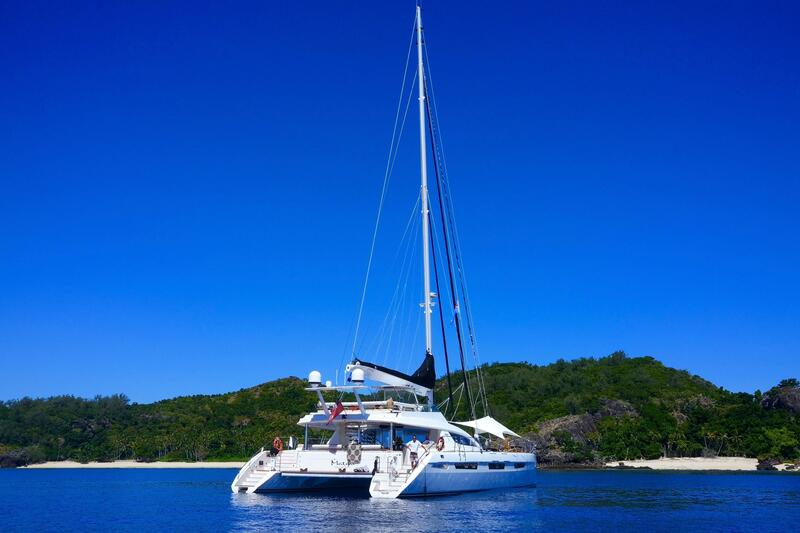 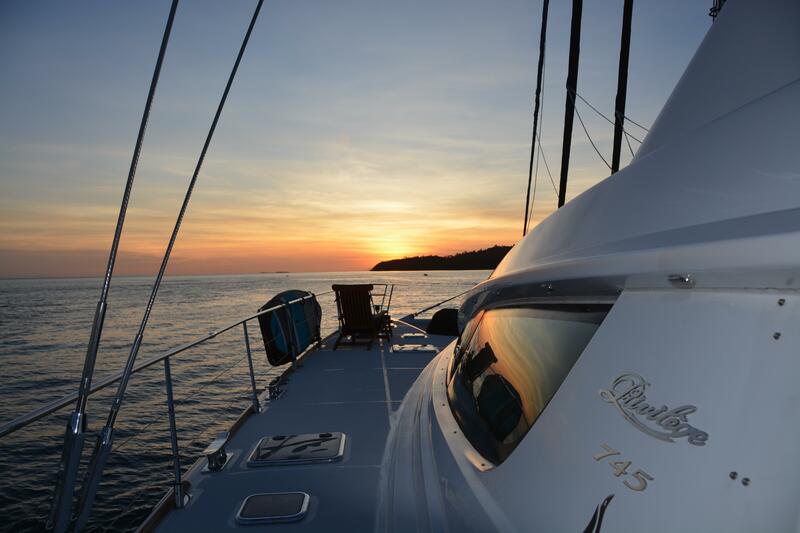 Matau spent the first years of her life as the flagship luxury crewed charter catamaran in Tortola. 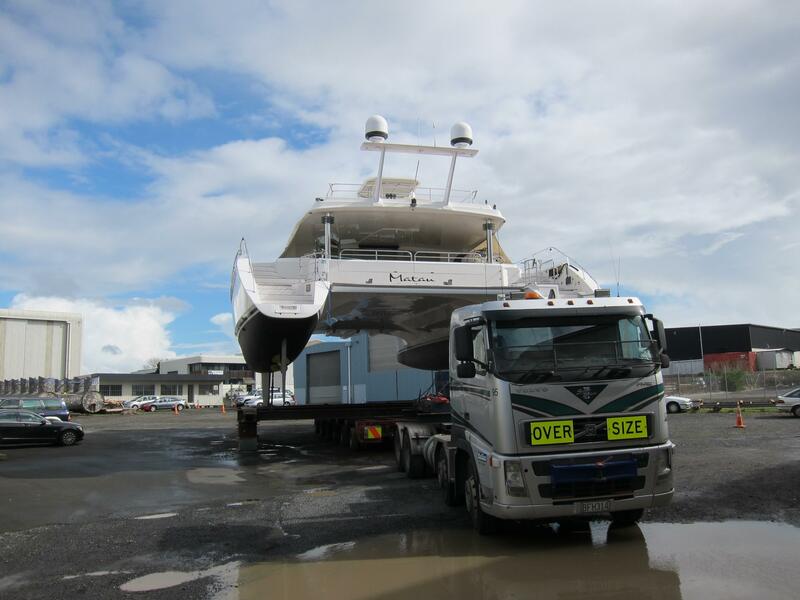 Her current owner purchased her in 2014. 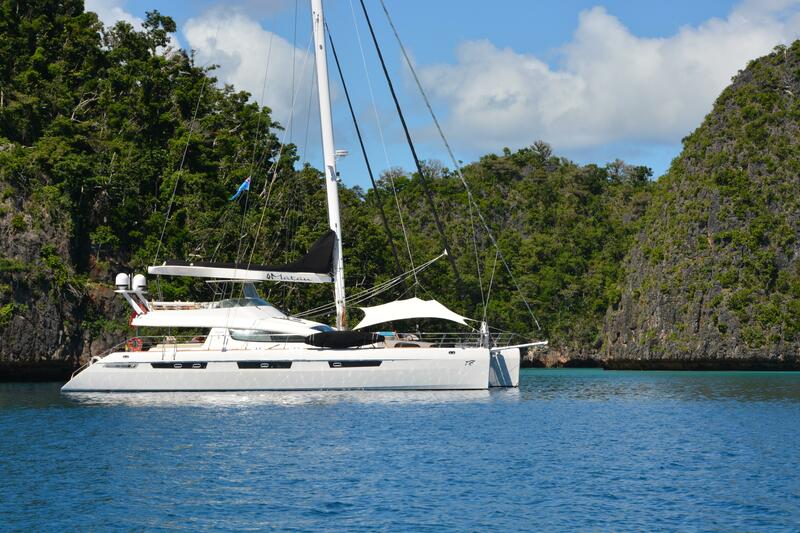 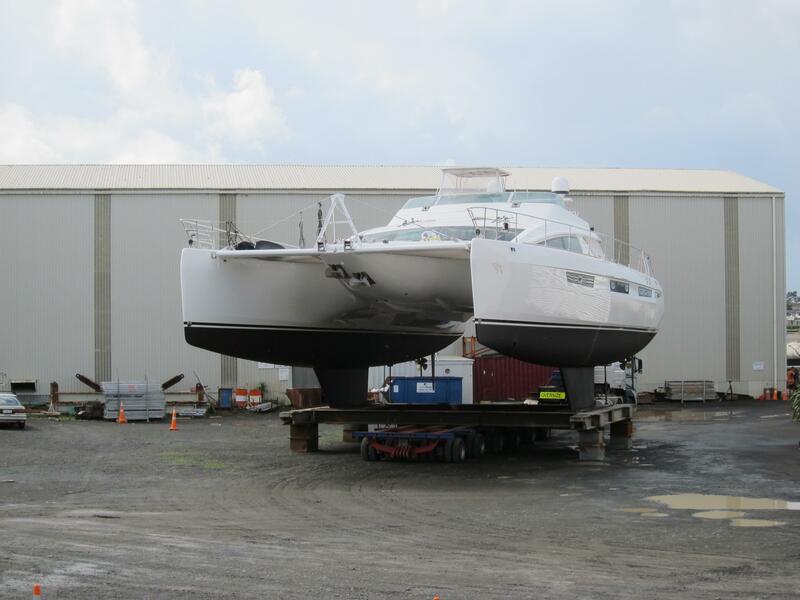 He then spent significantly on a refit to prepare her for a 5 year family circumnavigation. 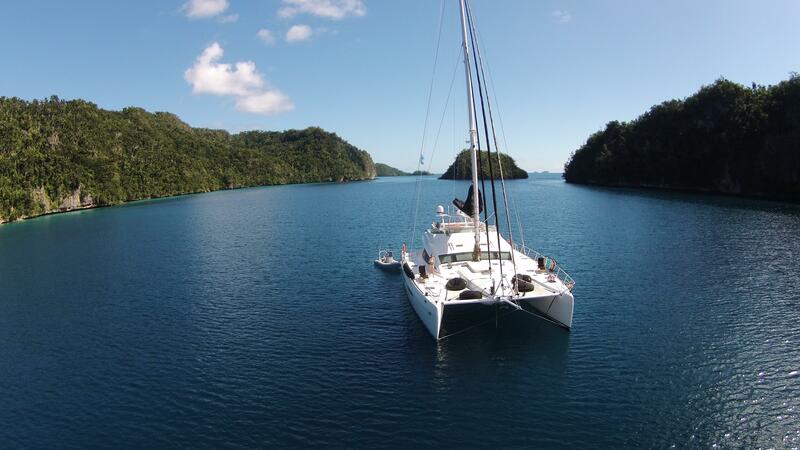 During that circumnavigation he also did additional refits to her in both New Zealand and Australia. 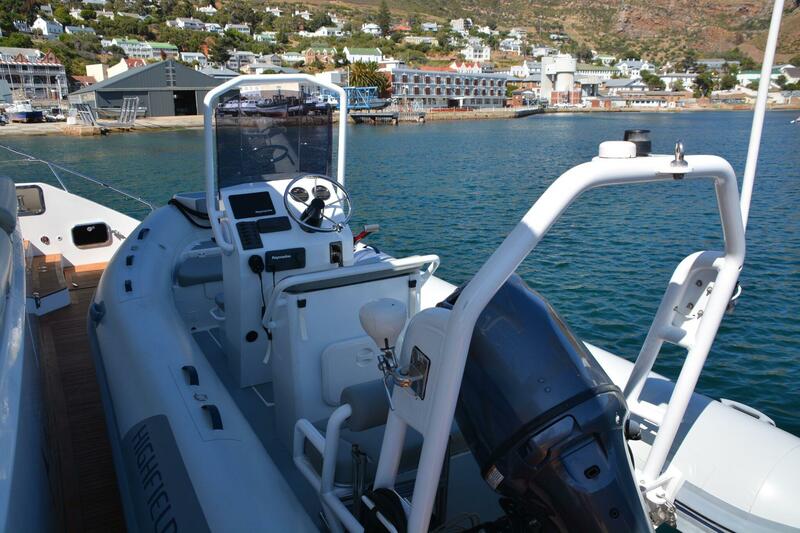 I was fortunate to catch up with her in Cape Town in November of 2018 and spent an afternoon going over her with her captain, who has served in his position with her since the start. 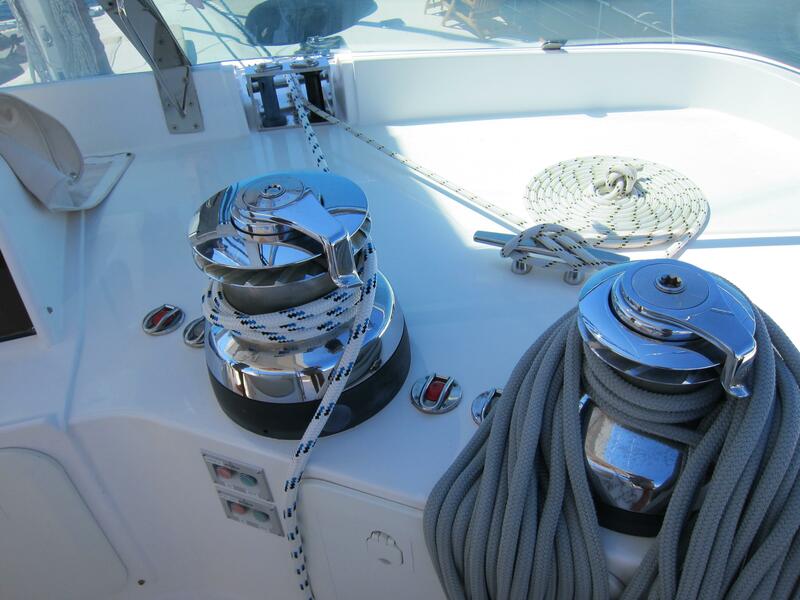 As he commented to me, "Anytime something needed to be replaced or repaired, I was authorized do it. 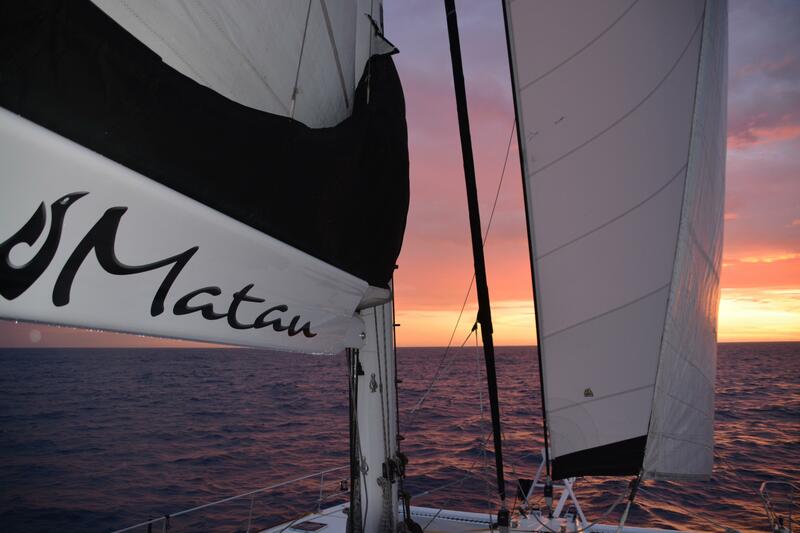 Her owner wanted Matau kept in top flight condition at all times and relied upon me and our crew to do so." 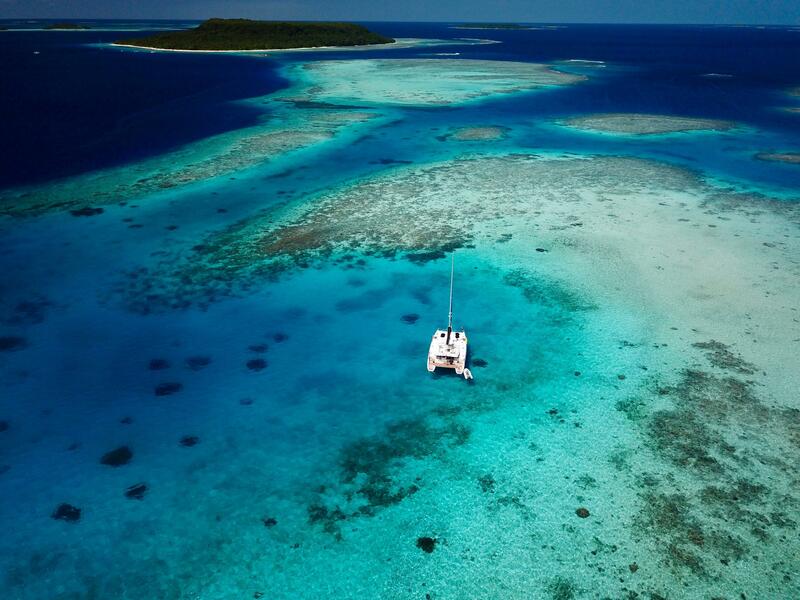 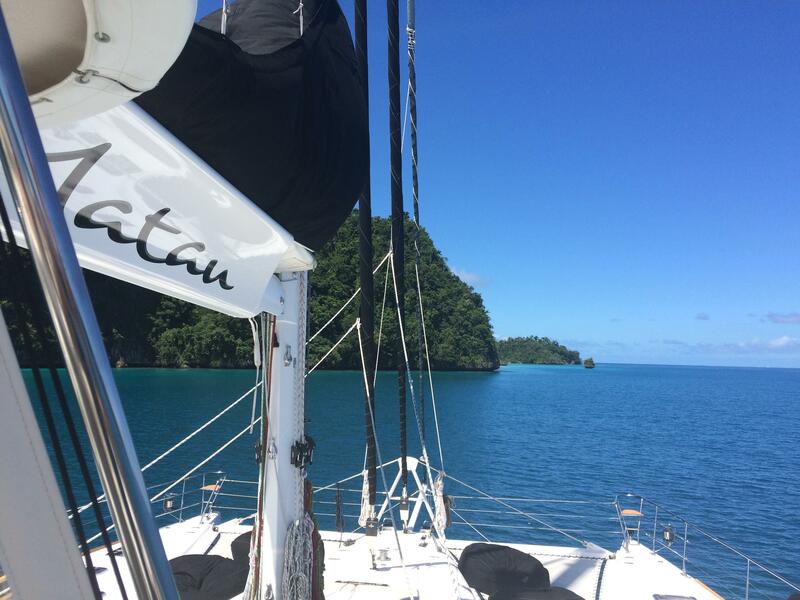 Matau has just in the Caribbean and is seriously for sale, as her owner has now completed his very satisfying circumnavigation. 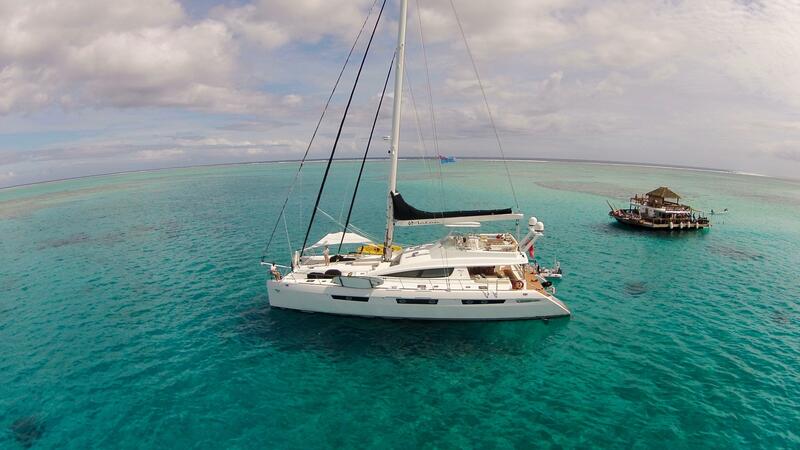 She is a yacht for the discriminating catamaran sailor looking for a level of quality that is seldom found. 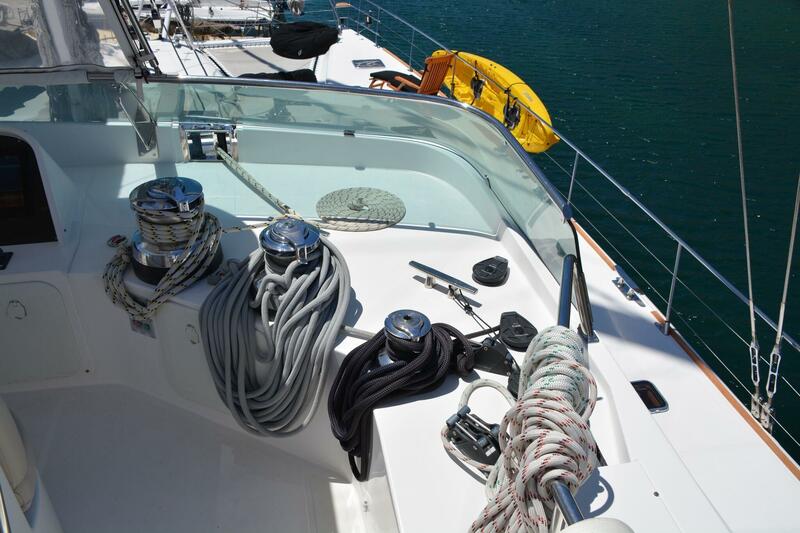 She's been lavished with care since launched. 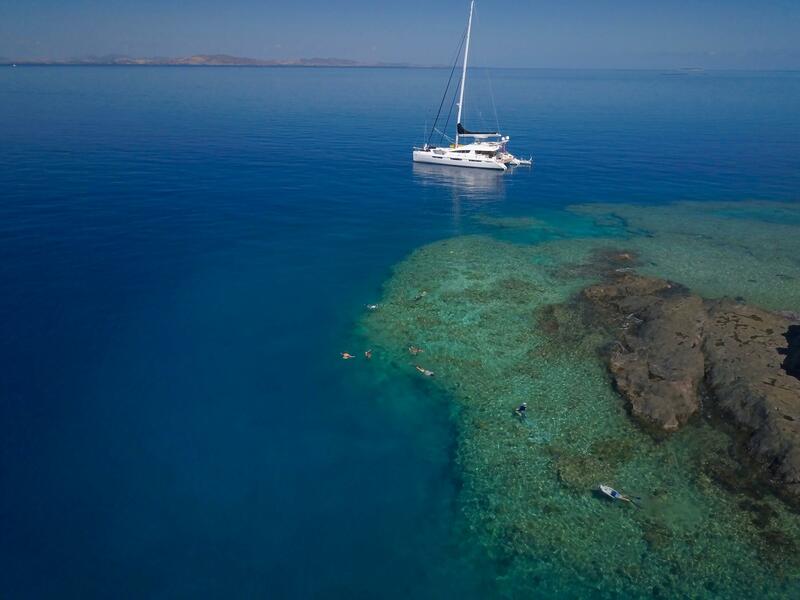 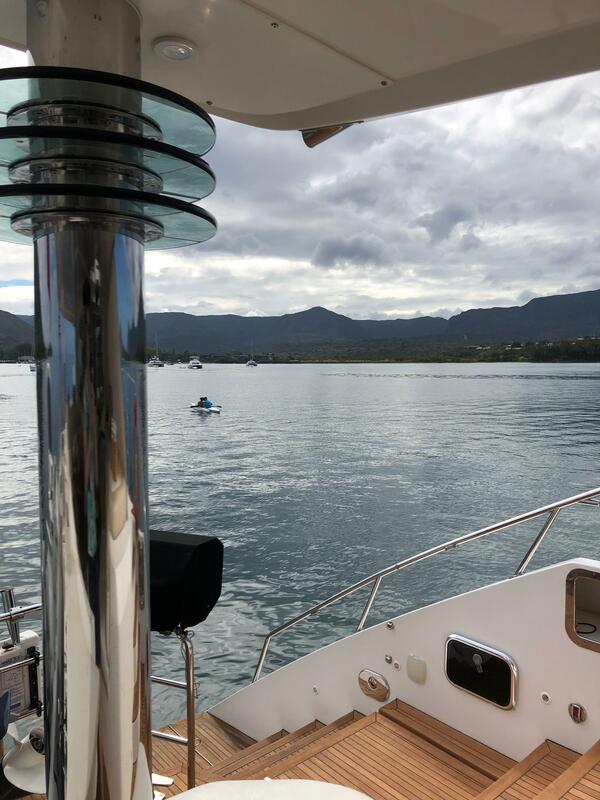 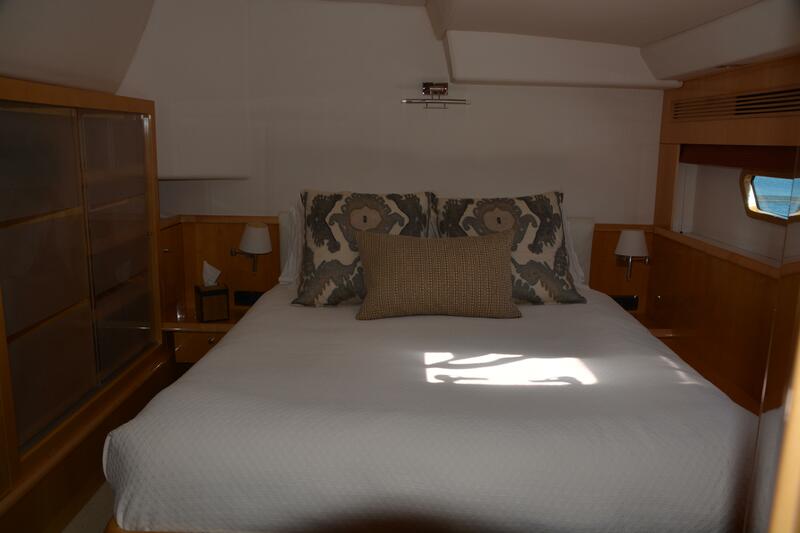 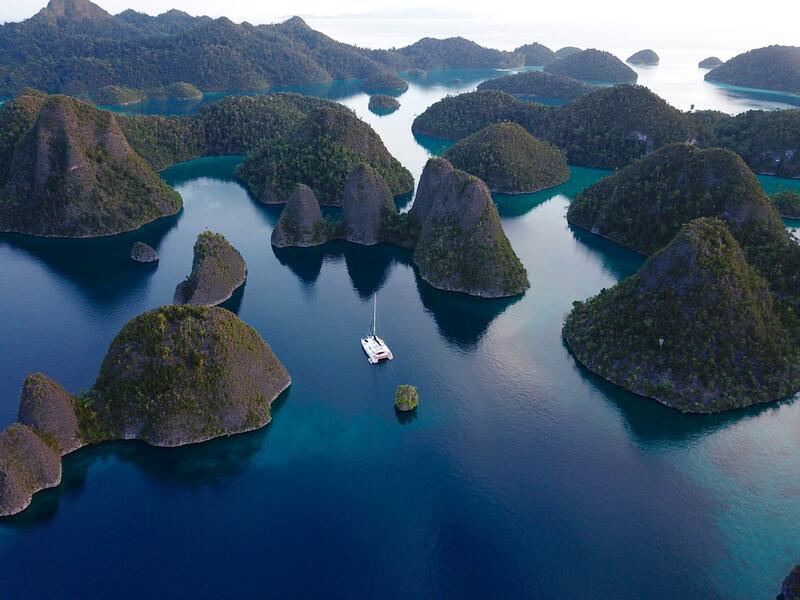 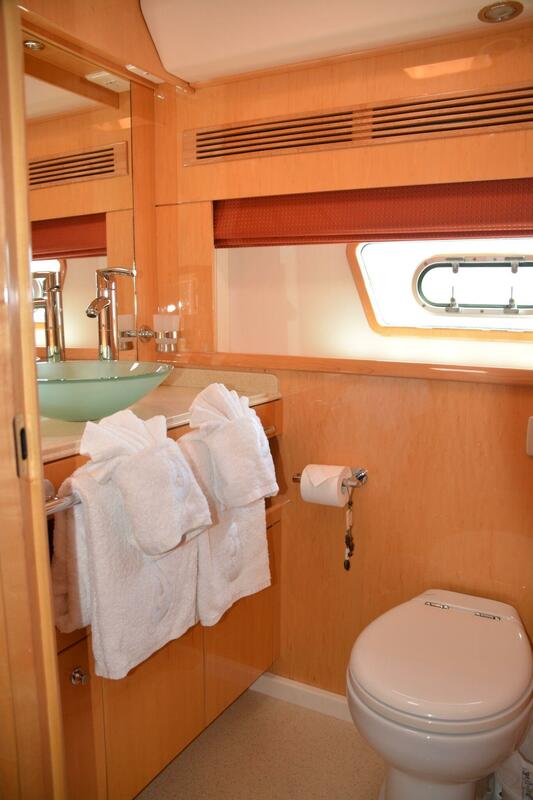 She has a large fly-bridge, professional galley, gorgeous suites, and is perfect for those wishing to engage in high-end luxury crewed charter or for another family looking to sail the world in total comfort. 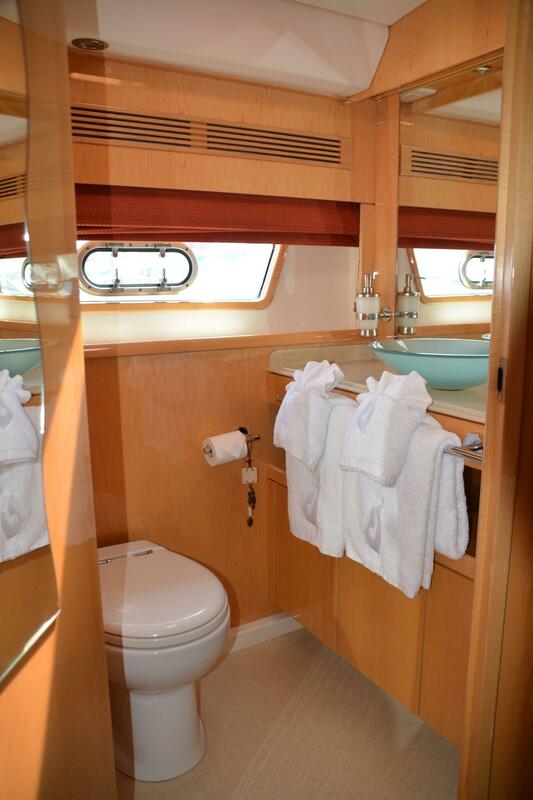 To view her, please contact Phil Berman. 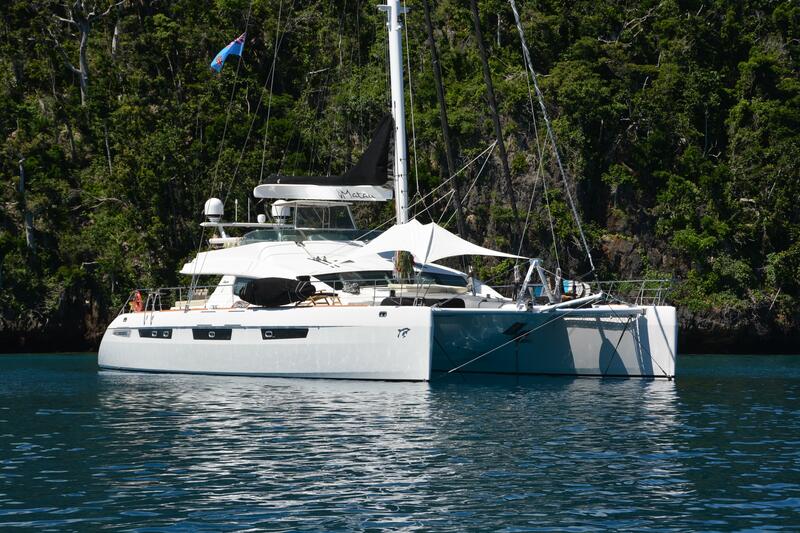 Matau has now arrived in the USVI and is available for showings by appointment. 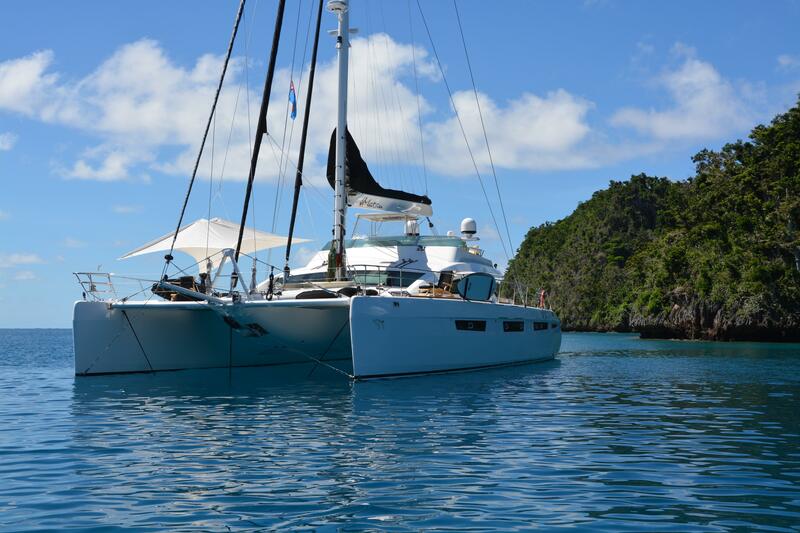 She will be voyaging to various islands in the region for the next few months, so please contact us to organize a showing. 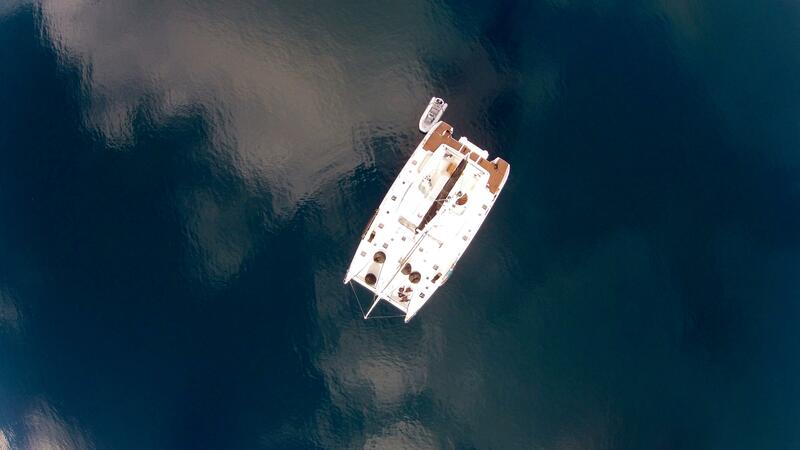 To see her is to fall in love. 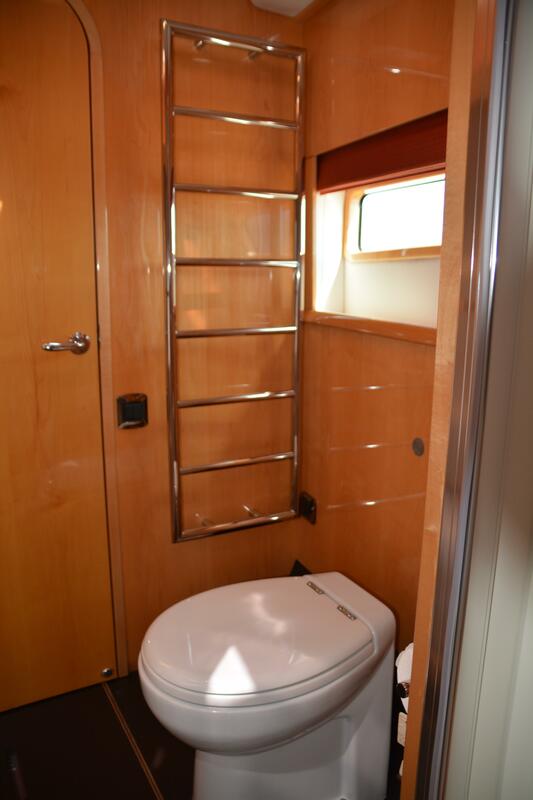 The master head doubles as a bidet and also includes a heated towel rack very important for the tropics! 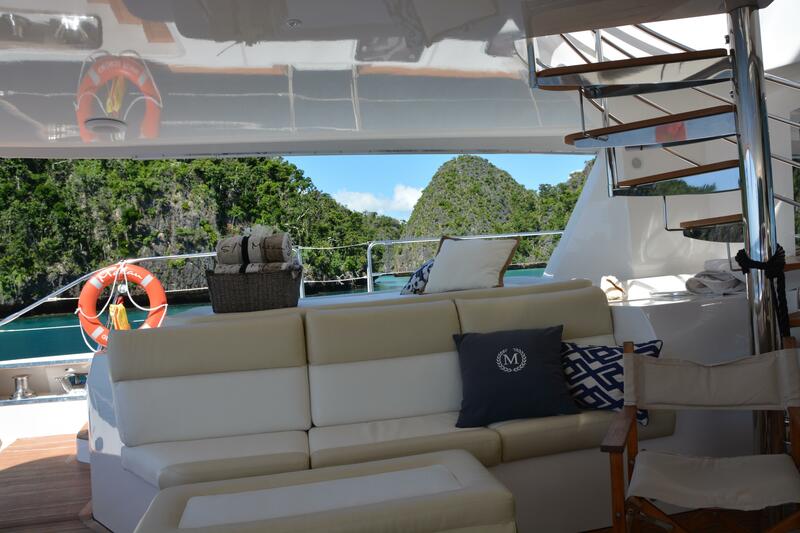 The large aft deck/cockpit is equipped with extra large lounging areas providing unparalleled comfort. 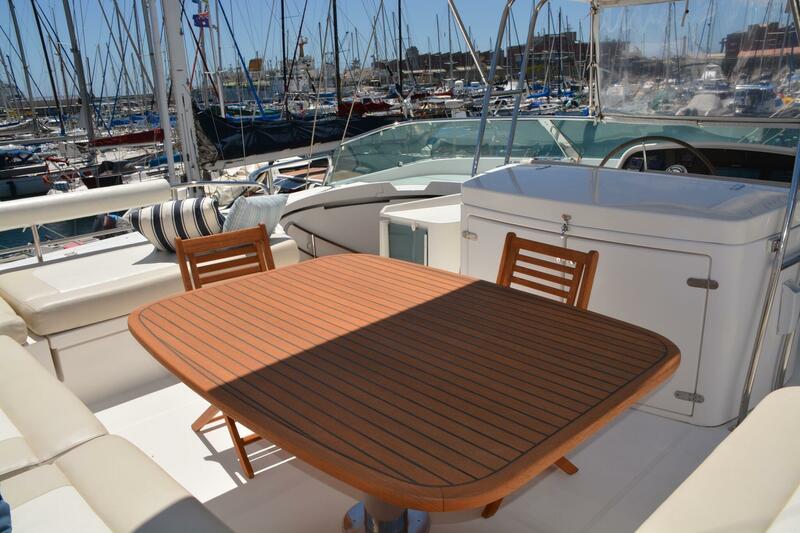 The cockpit tables provide alfresco dining with a view. 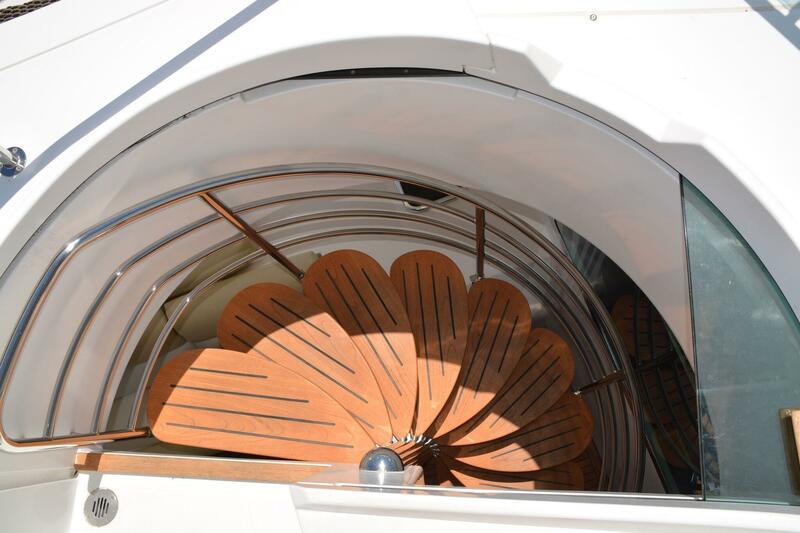 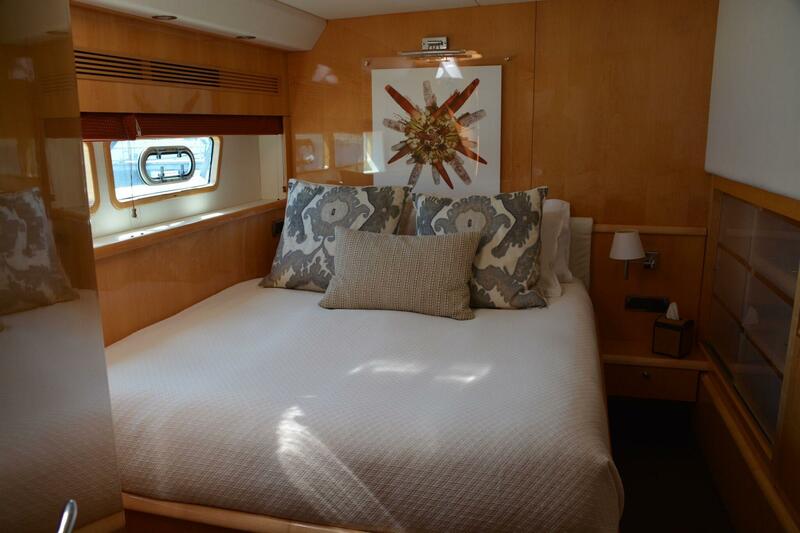 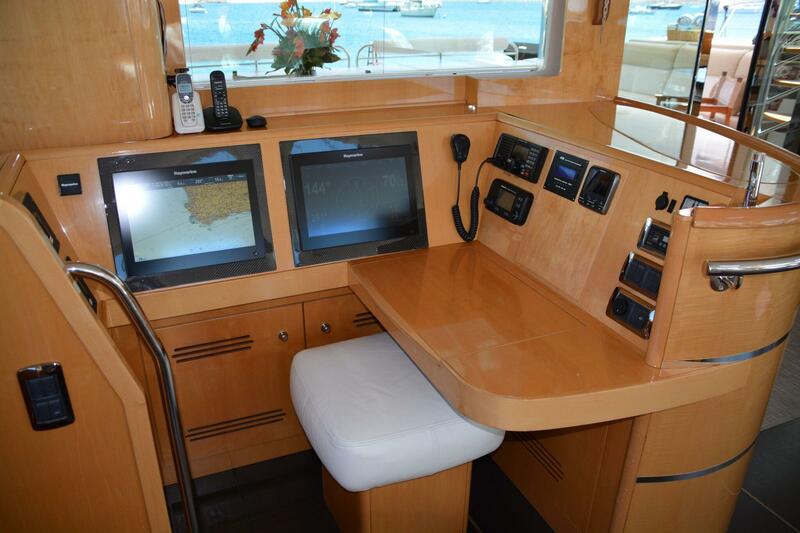 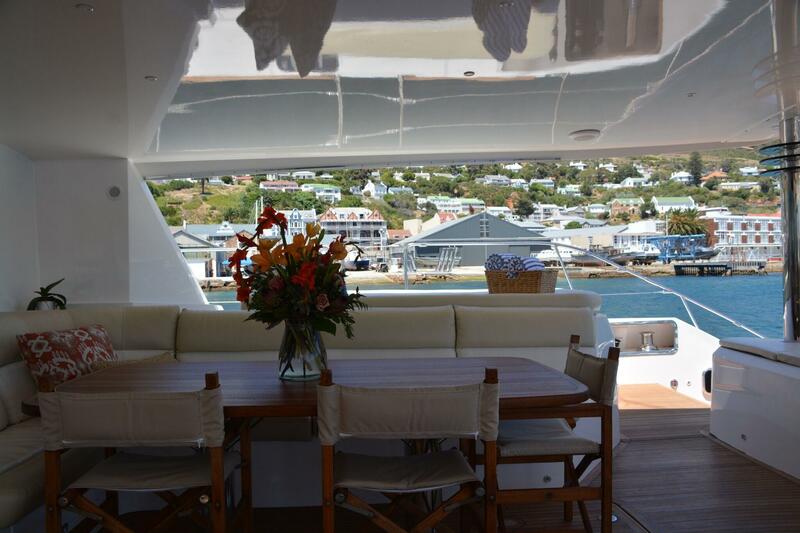 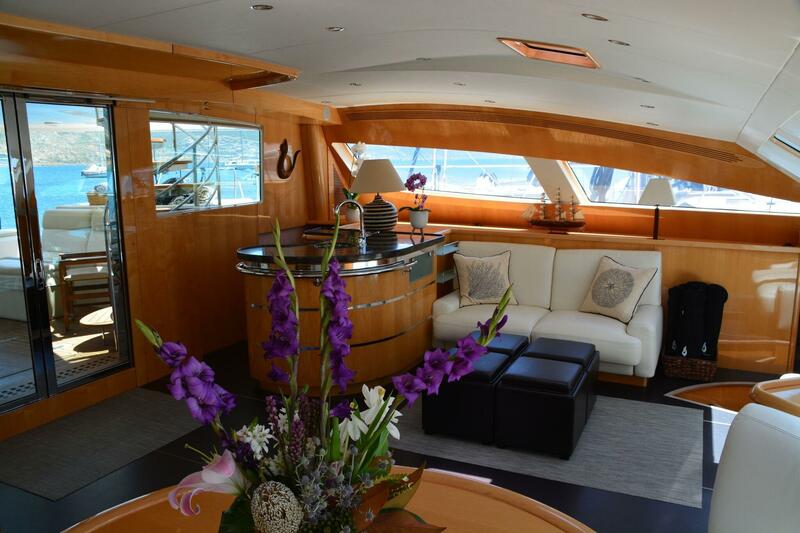 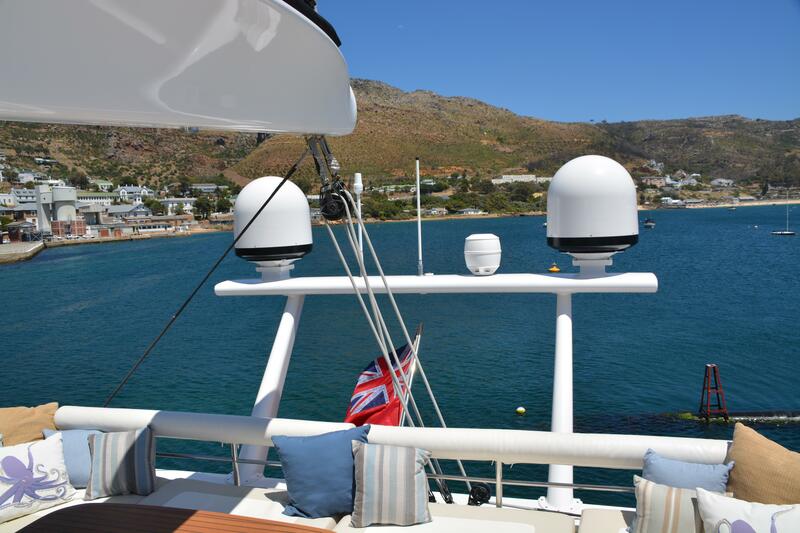 Flybridge has a sumptuous exterior space with center helm station. 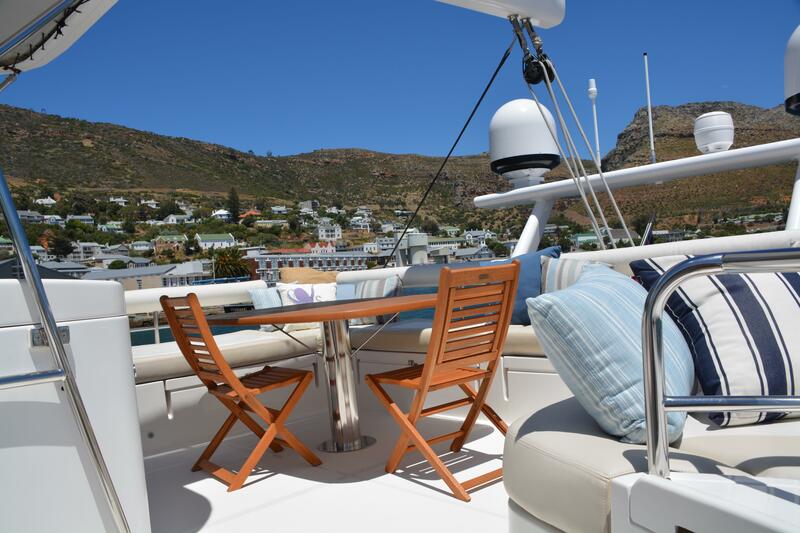 Adequate seating surrounds the aft outboard side in a "U" style setting with a table for dining. 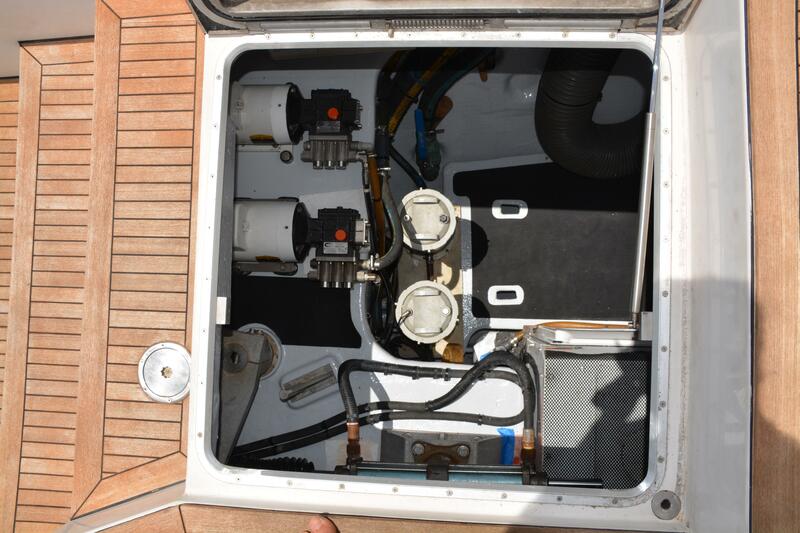 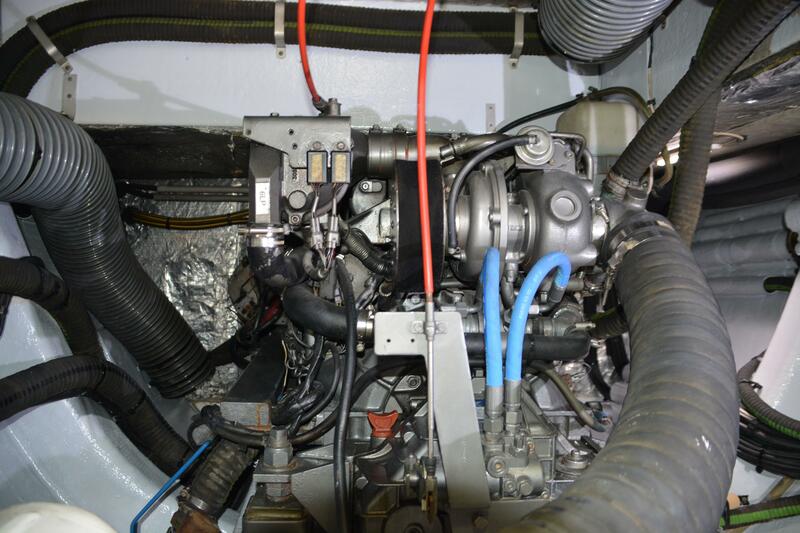 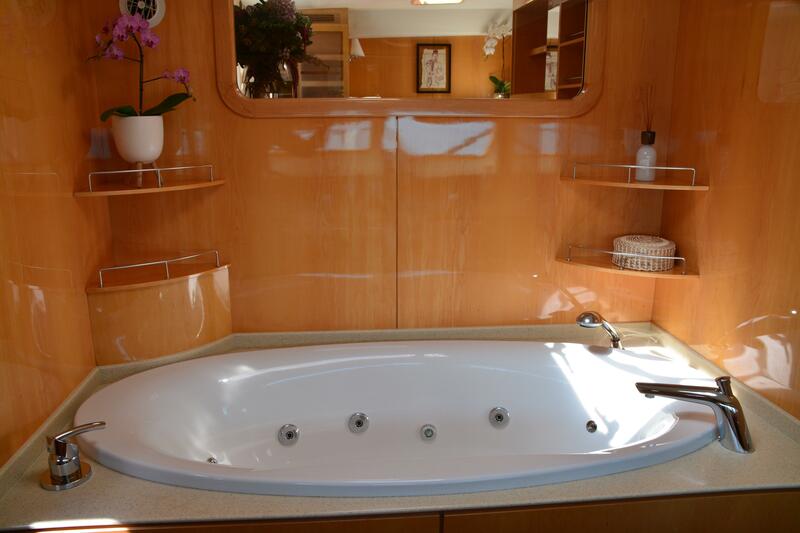 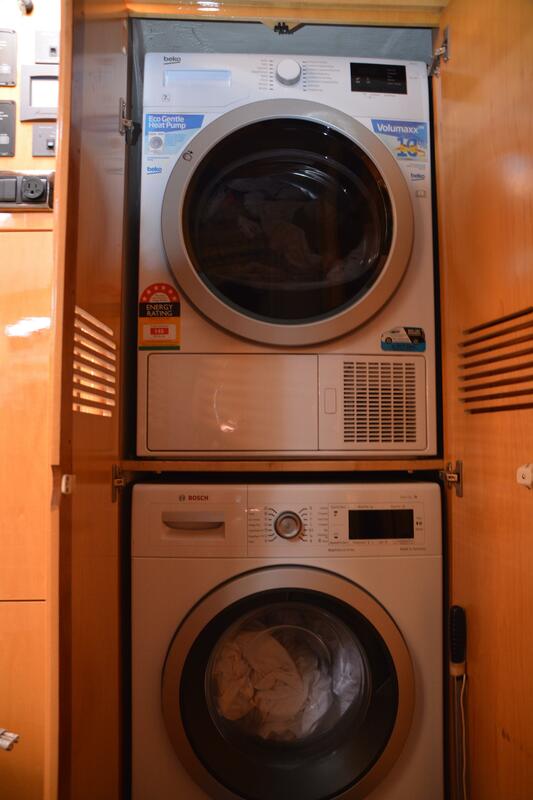 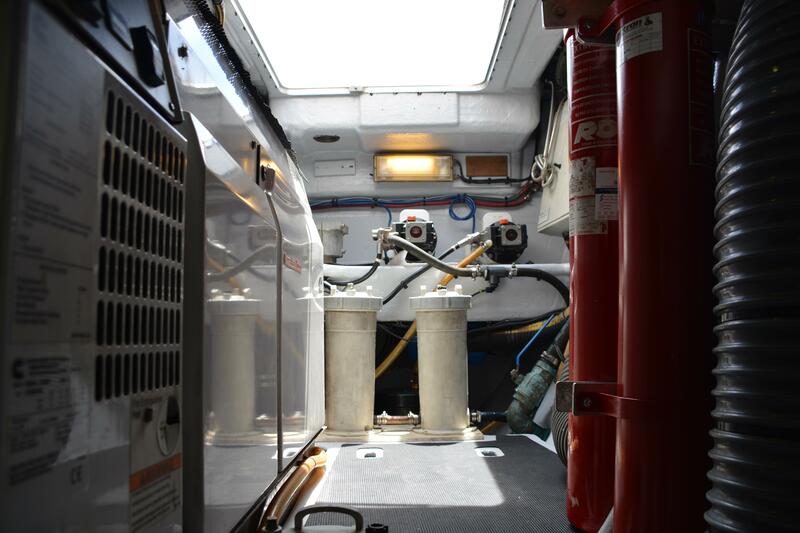 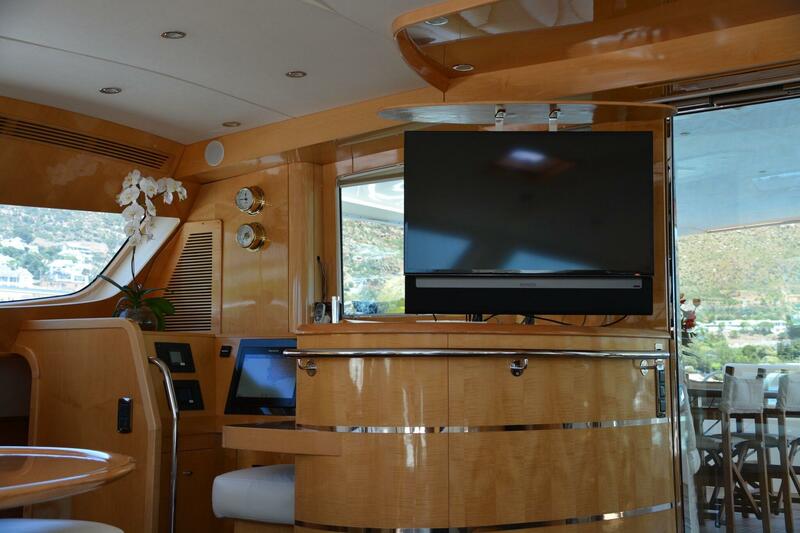 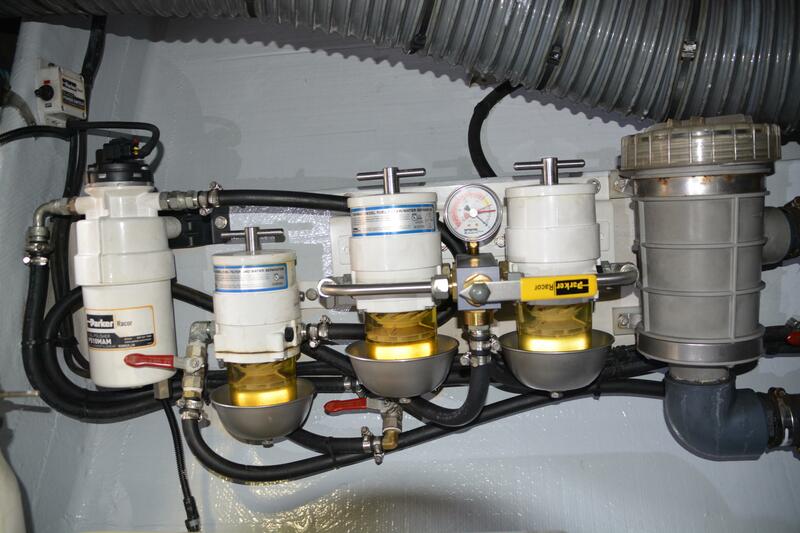 A wet bar with fridge and icemaker is located behind the helm seat + electric grill. 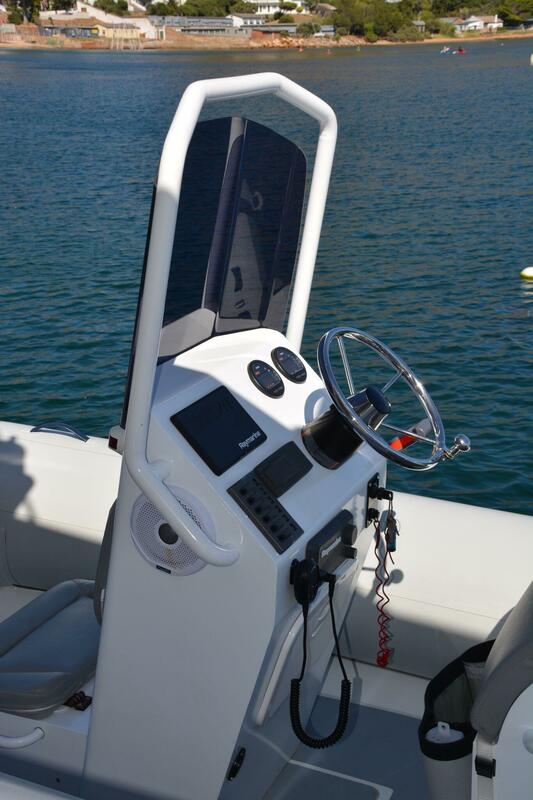 Iridium Pilot Satellite communication sytem w/ internet data optimizer for low bandwidth and 3 separate lines. 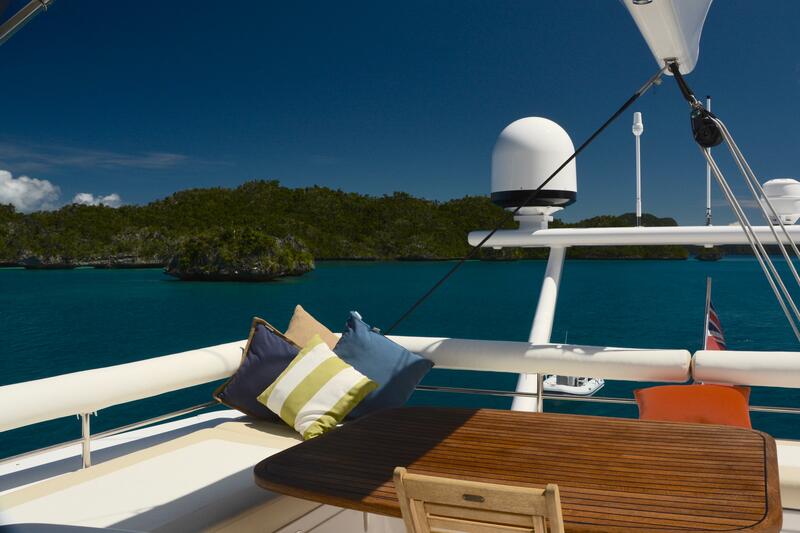 Sonos Surrond Sound including Sound Bar and Sonos 1 in all cabins linked with Bose speakers on deck, cockpit and bridge.